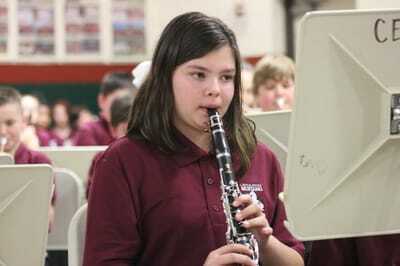 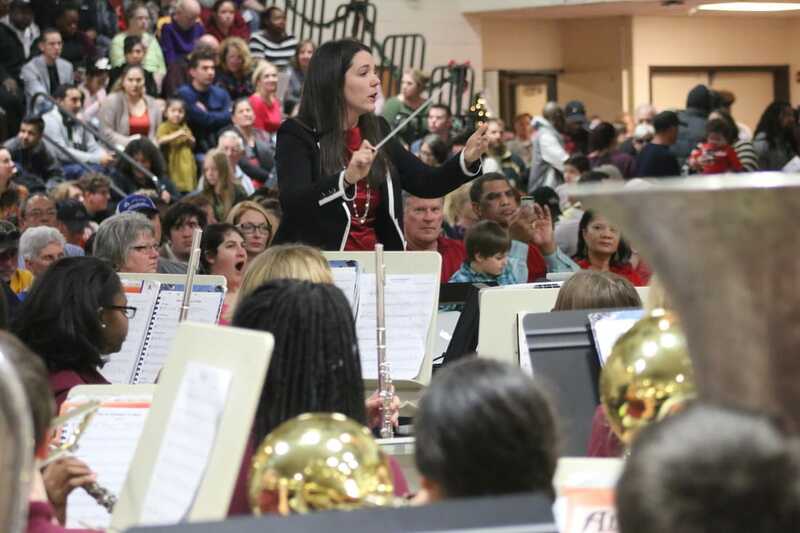 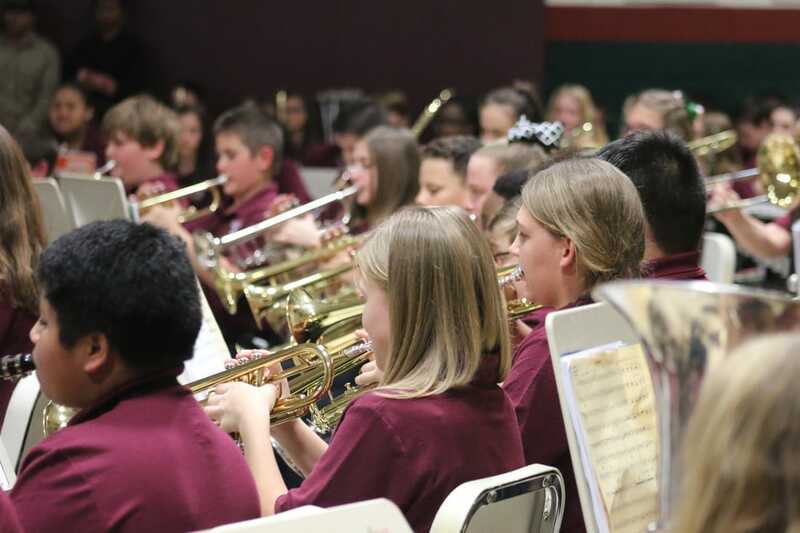 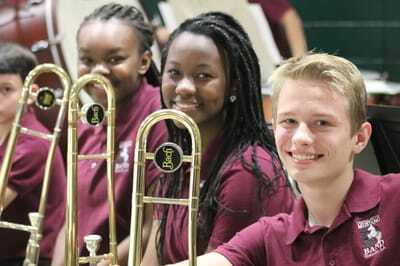 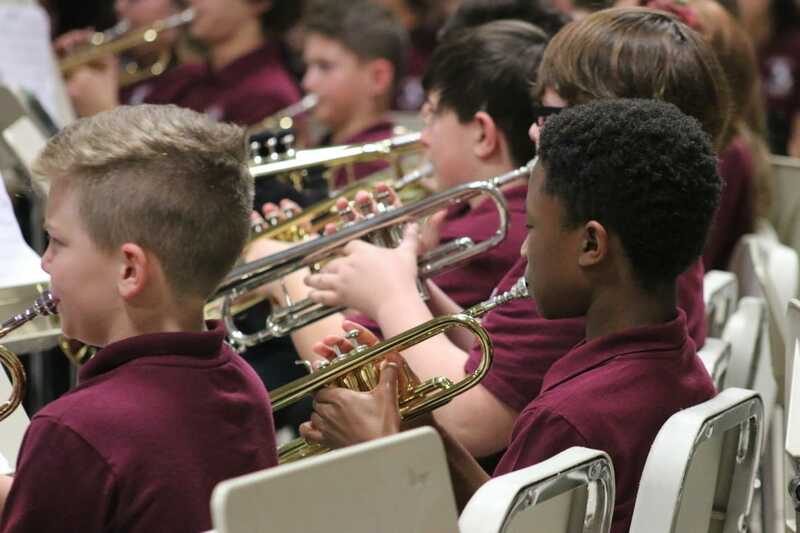 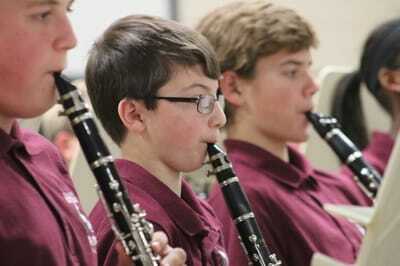 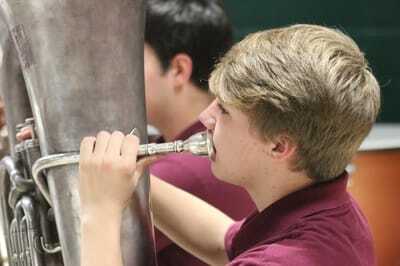 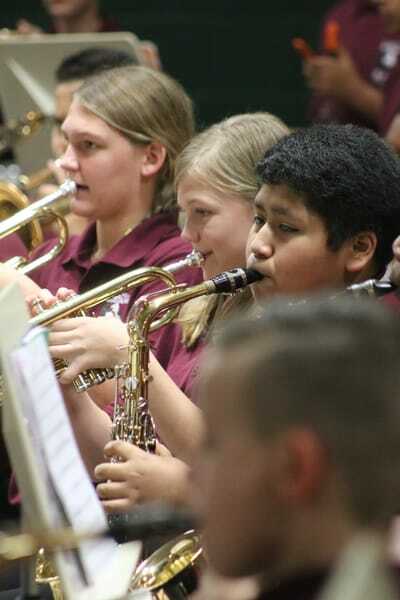 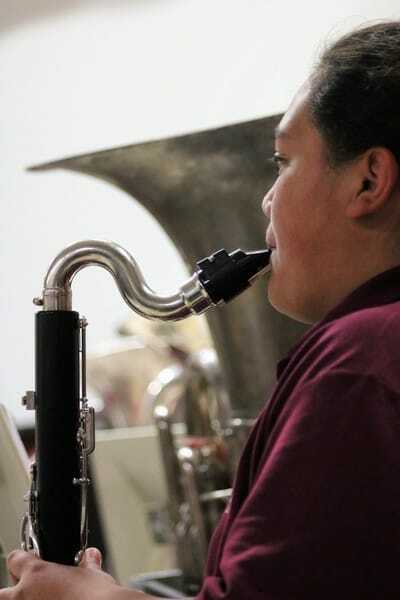 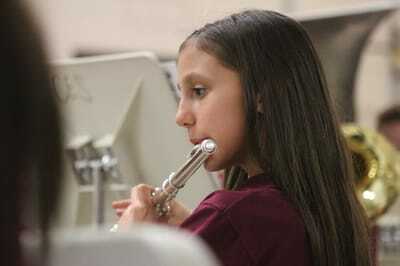 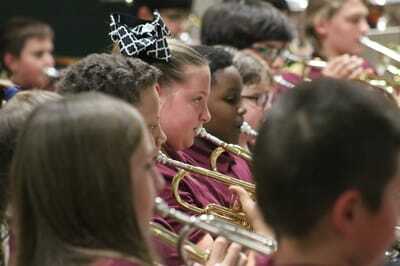 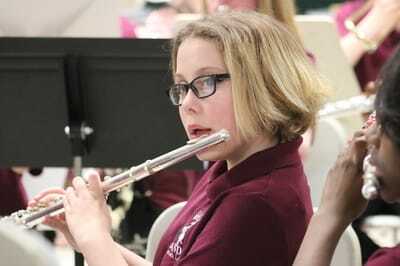 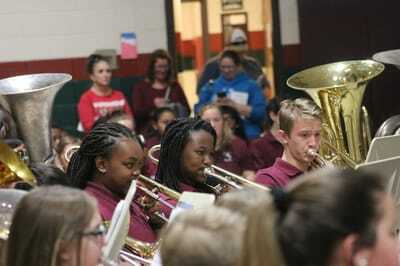 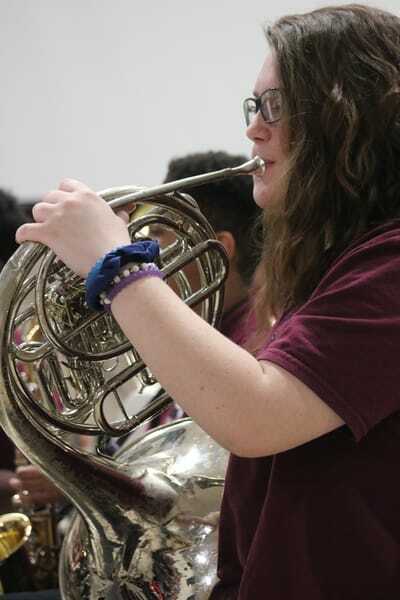 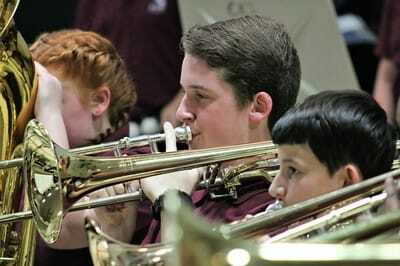 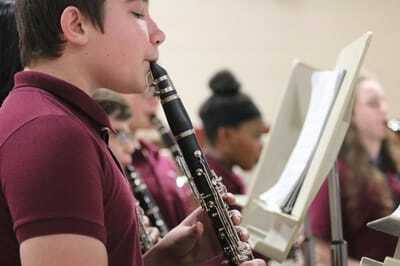 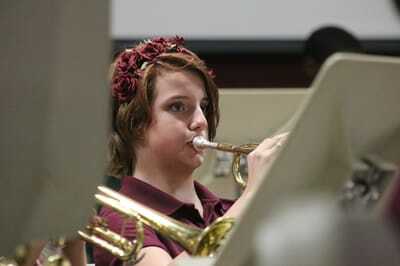 ​This year's winter concert was played to a packed house! 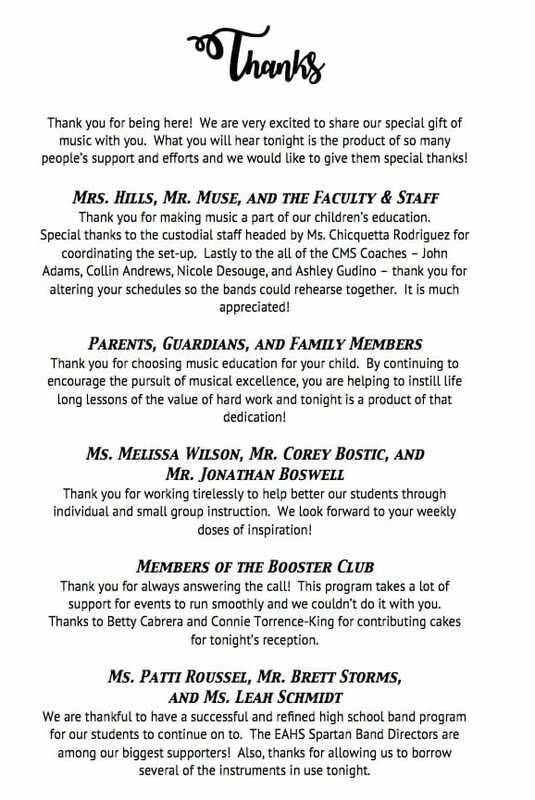 A huge thanks for such a great attendance. 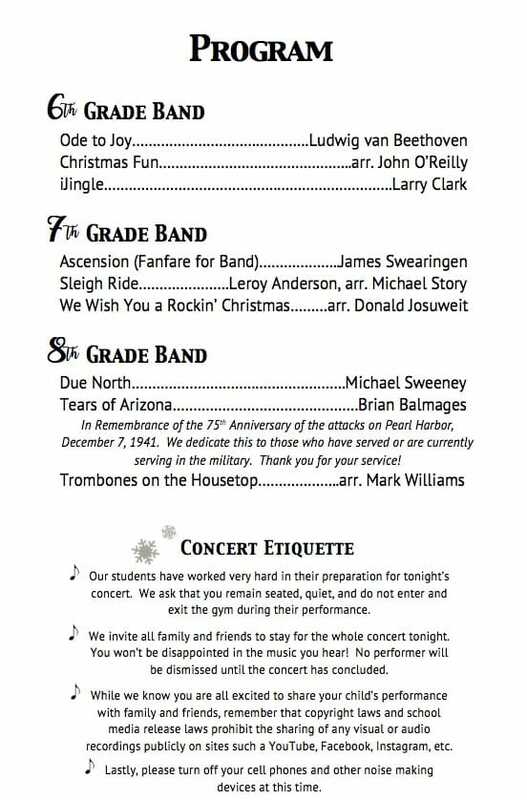 Our favorite highlight was a veteran's slideshow tribute to our heroes in remembrance of the 75th anniversary of the attacks on Pearl Harbor while the 8th grade band played. Beautiful job! 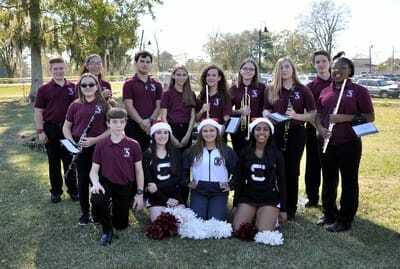 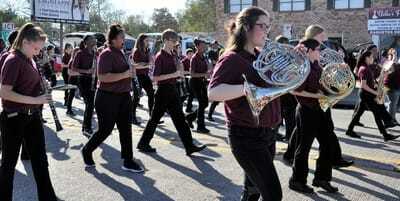 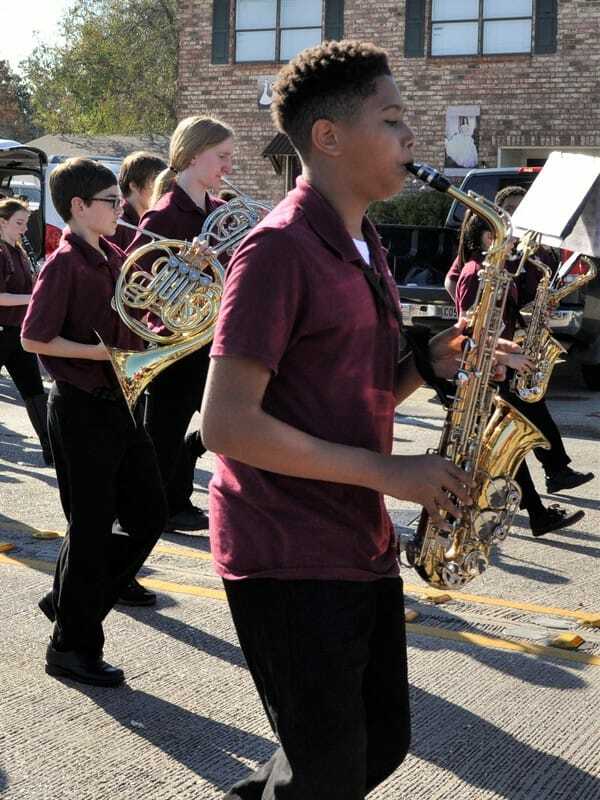 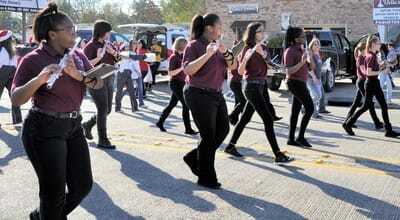 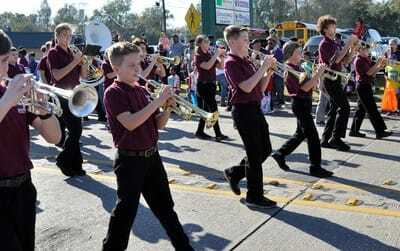 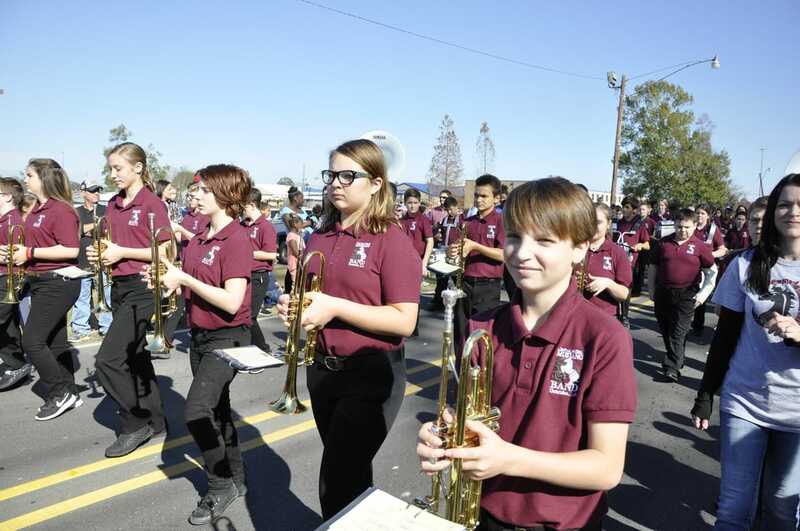 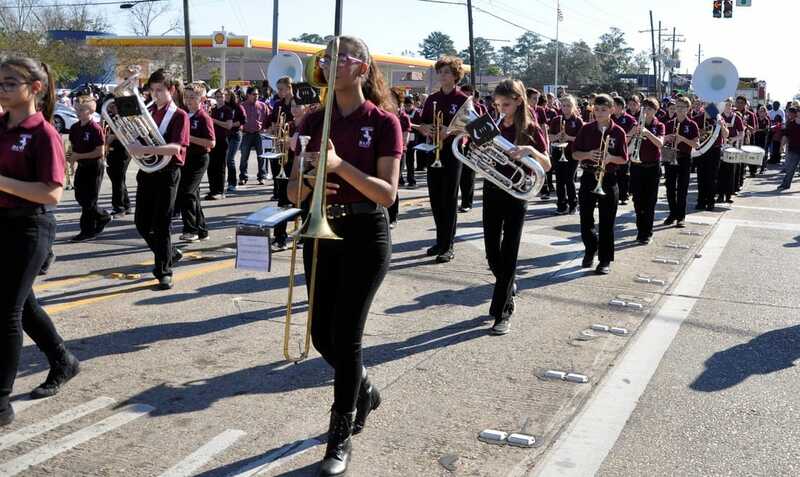 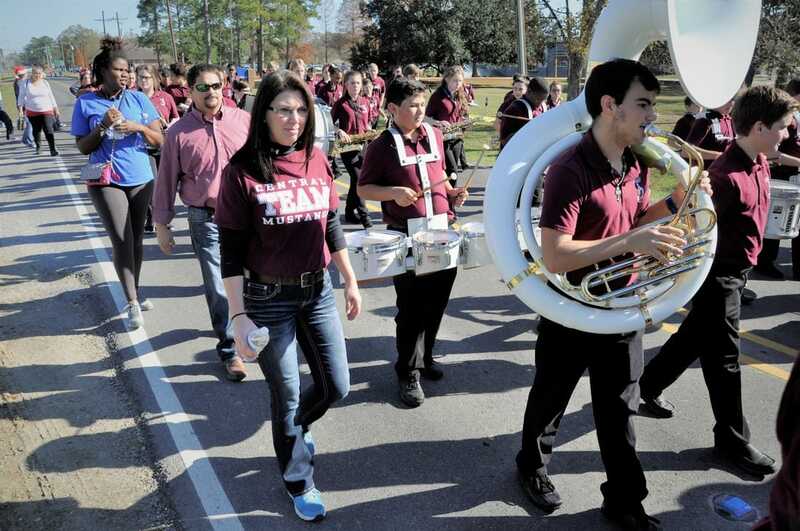 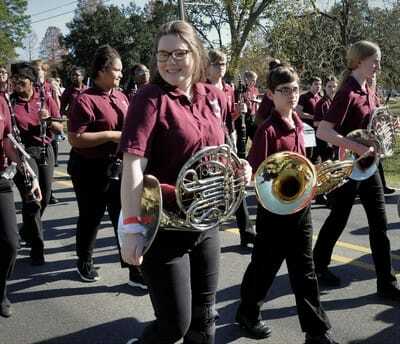 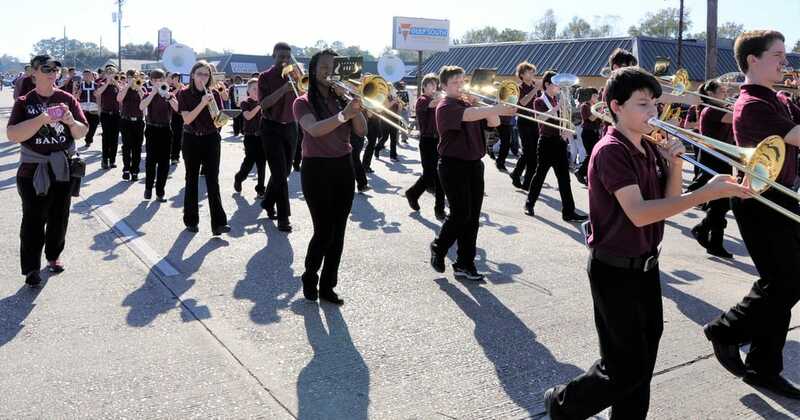 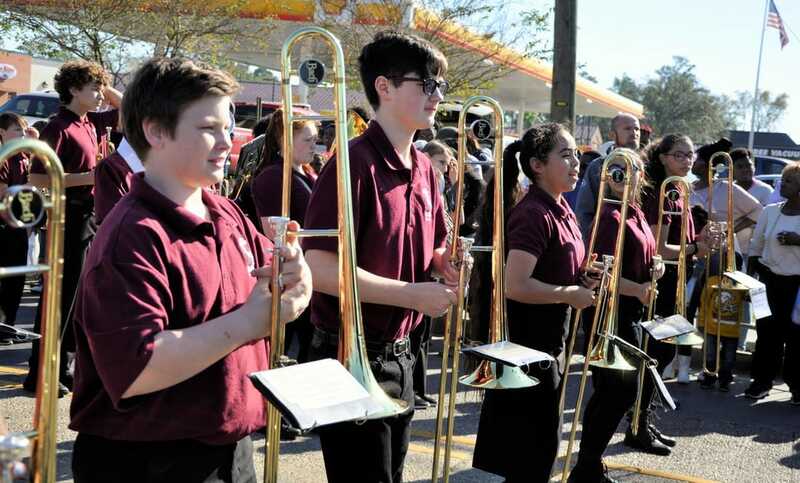 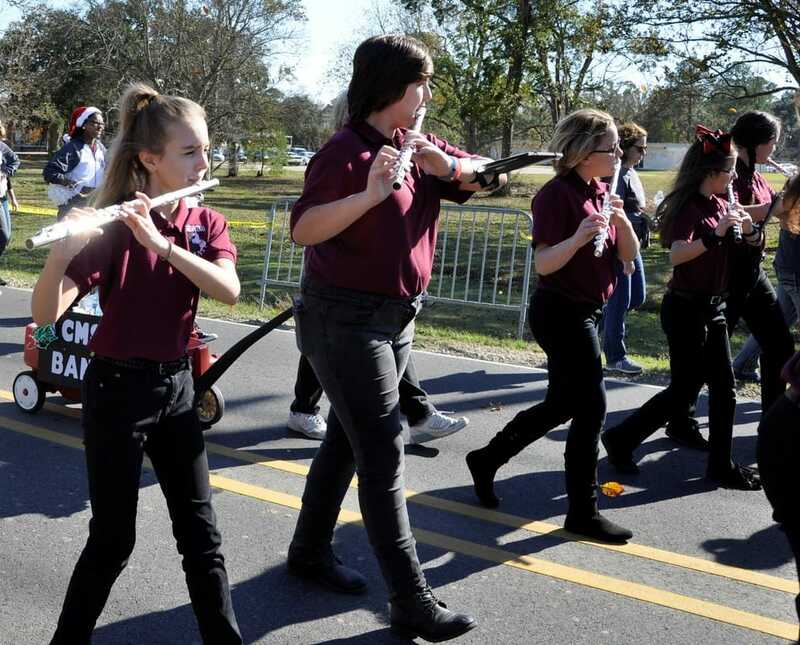 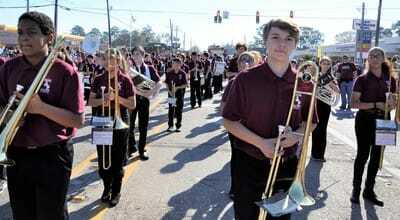 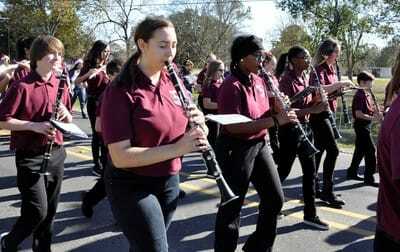 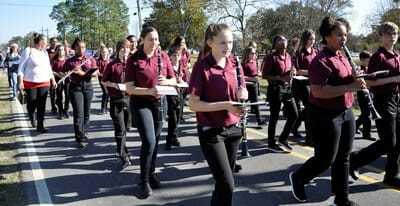 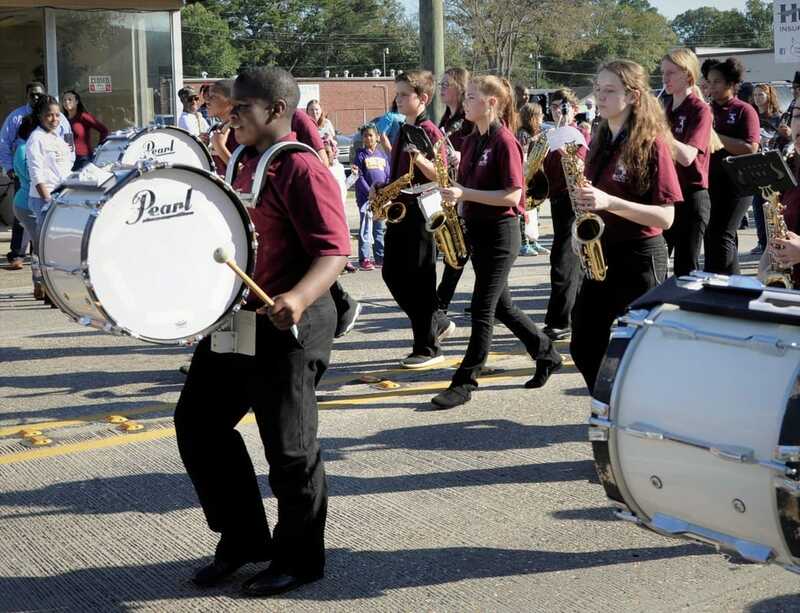 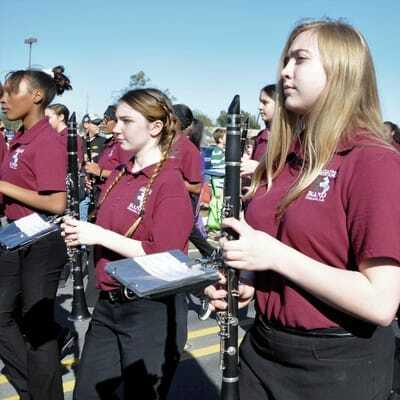 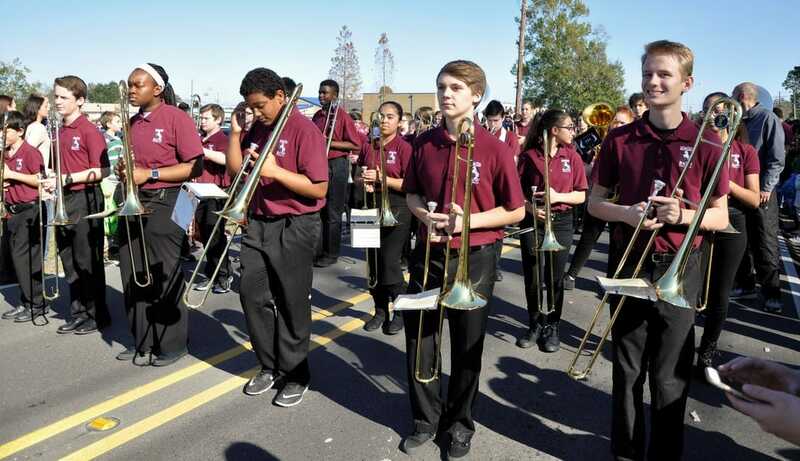 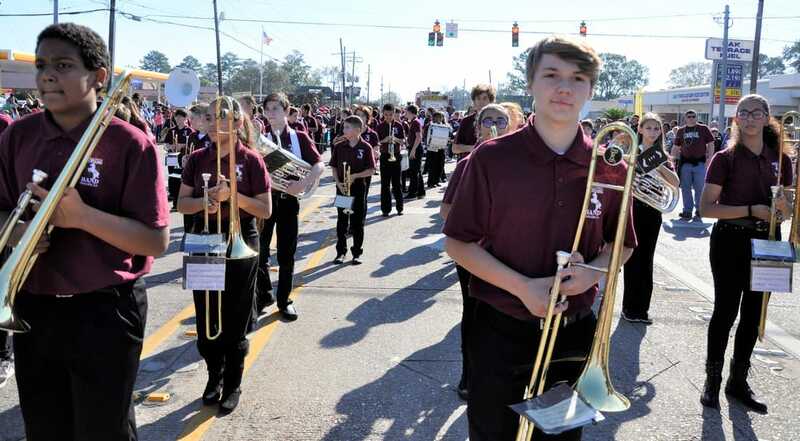 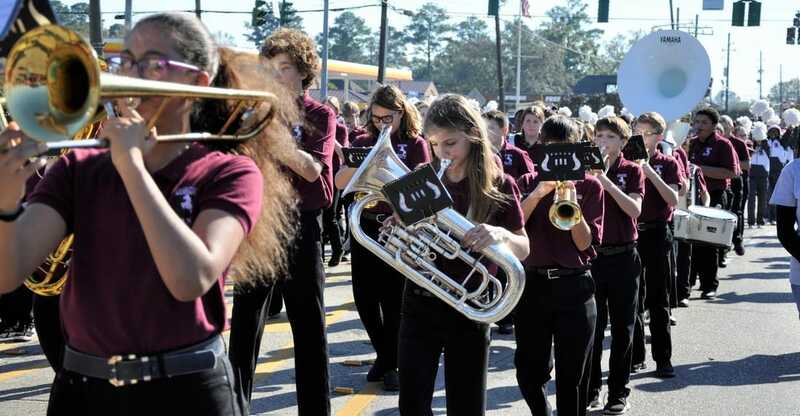 The 7th and 8th Grade participated in the annual Gonzales Christmas Parade, playing "We Wish You a Merry Rockin' Christmas". 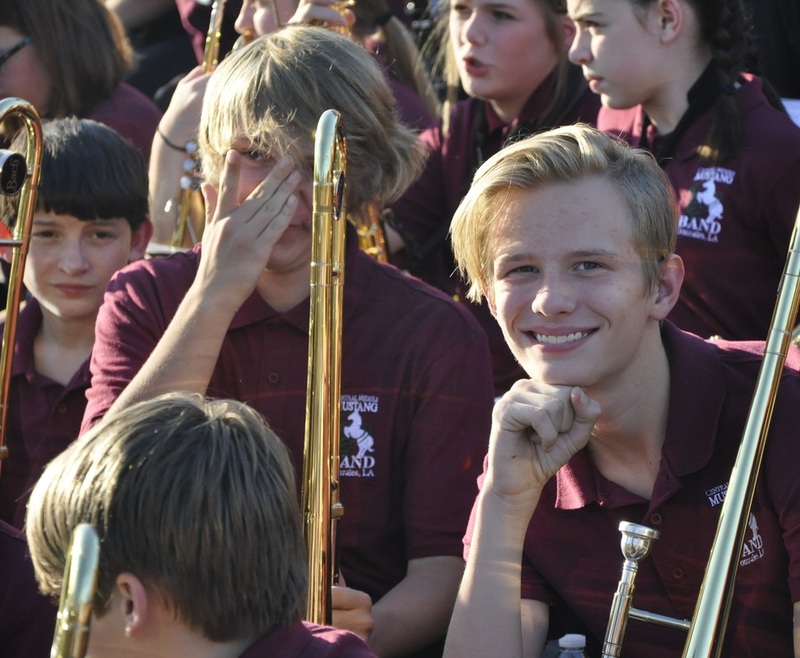 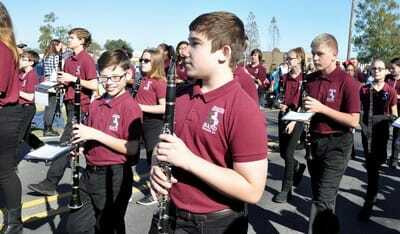 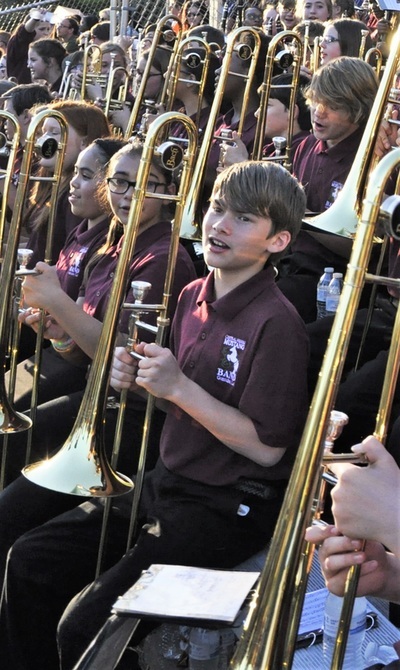 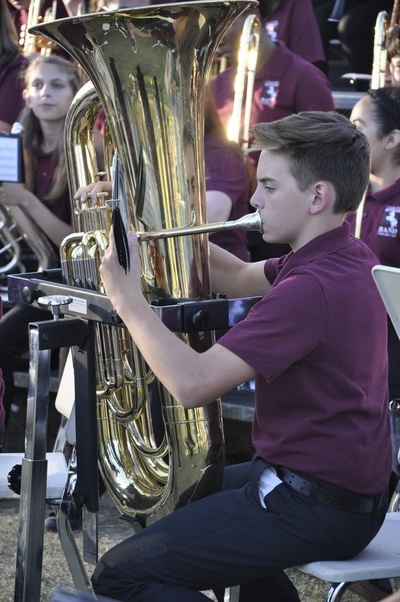 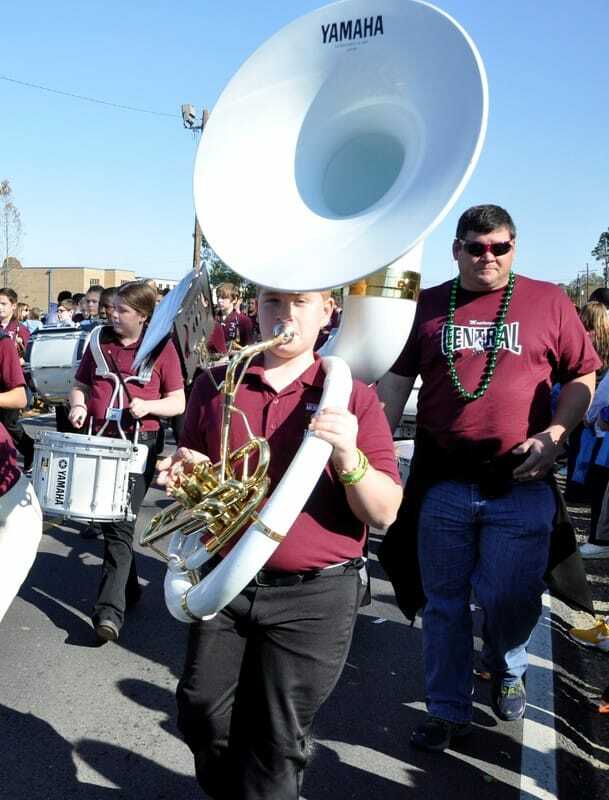 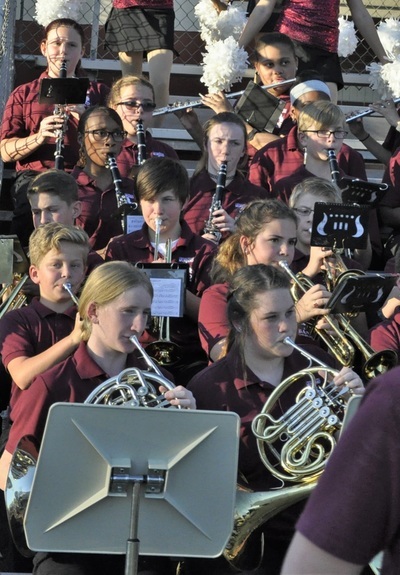 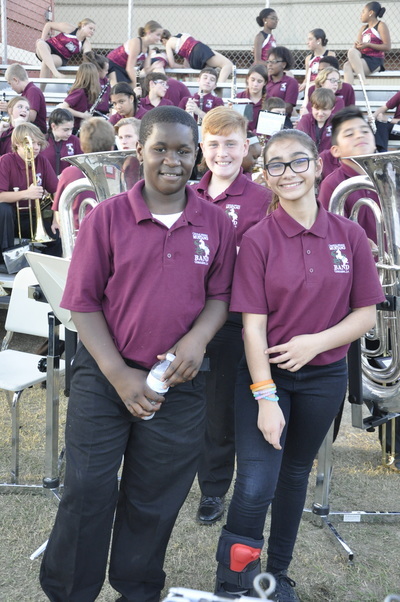 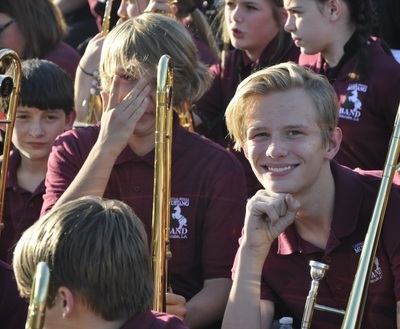 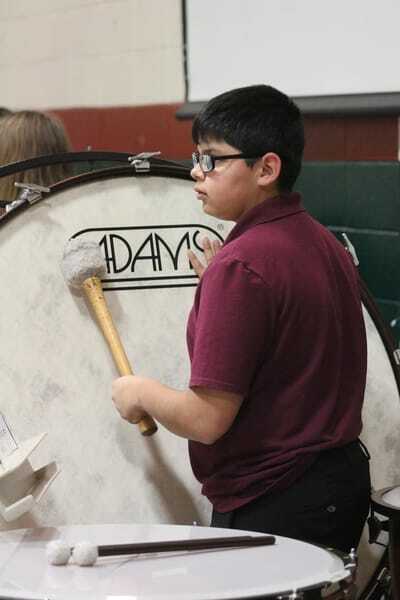 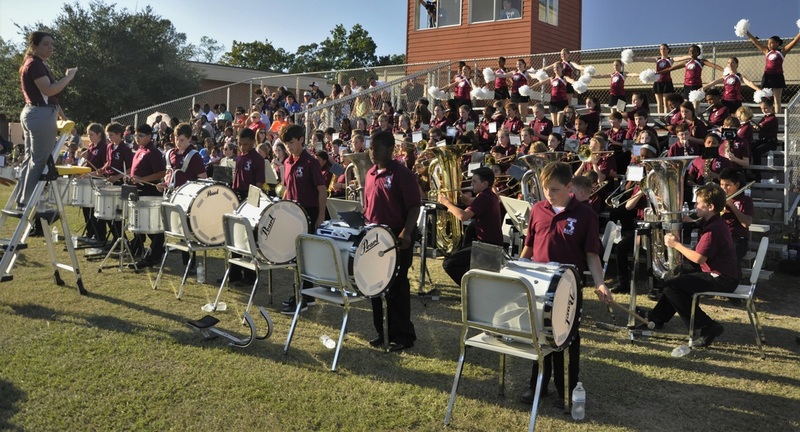 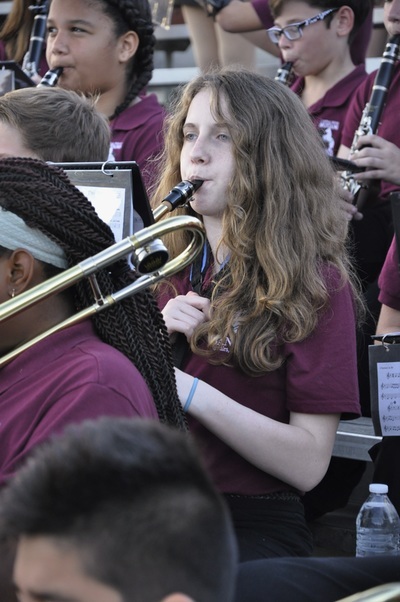 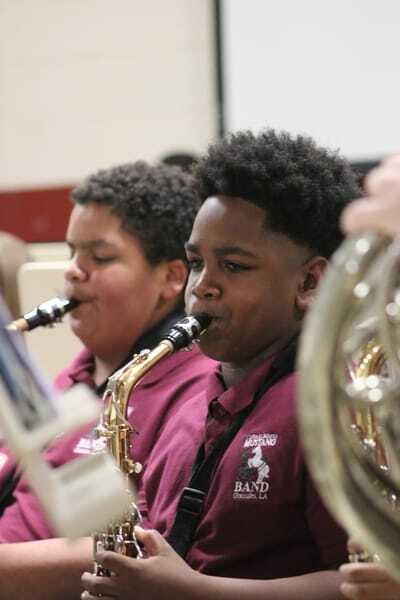 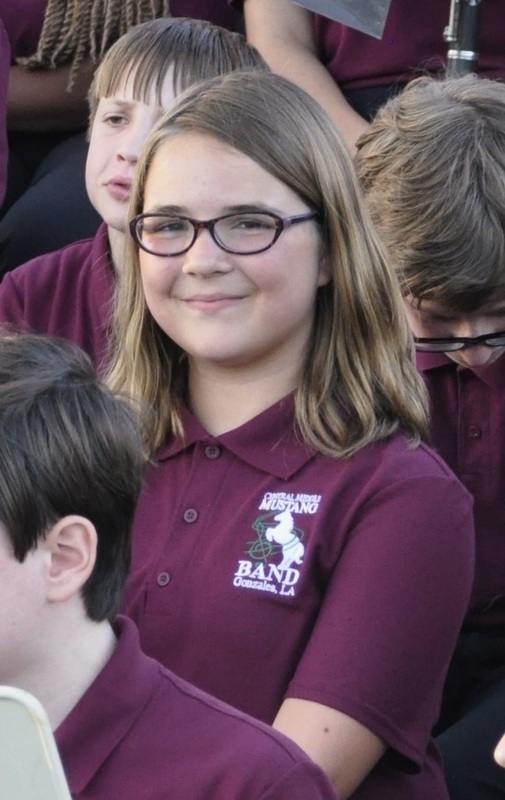 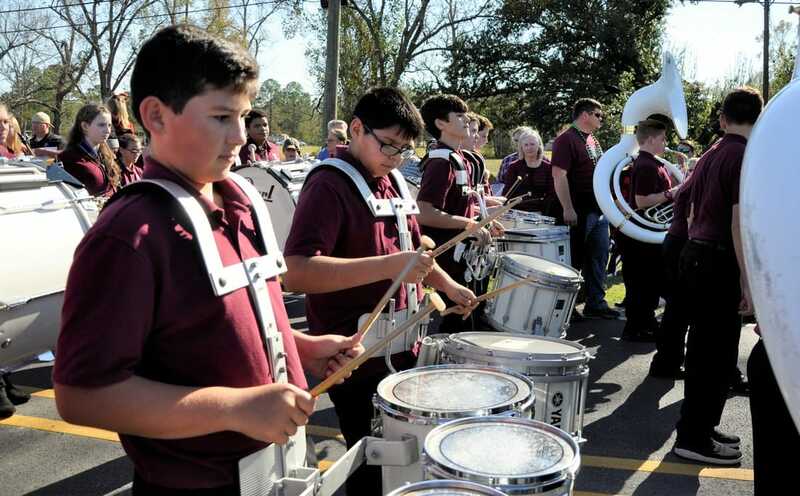 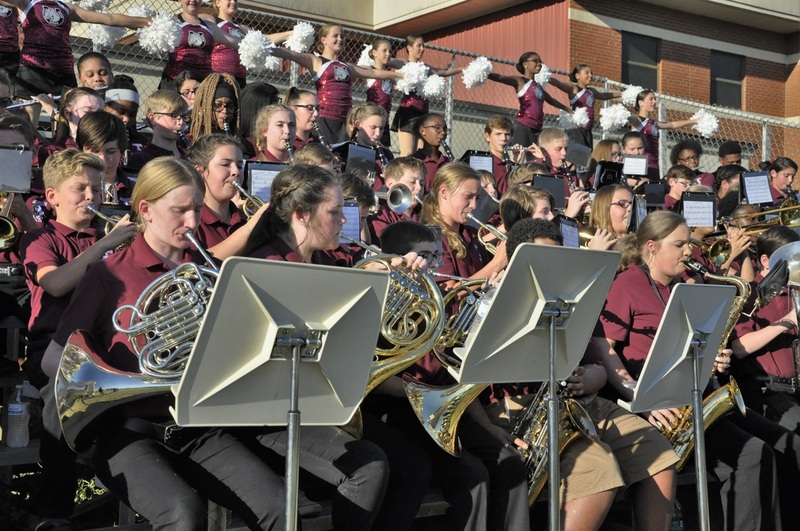 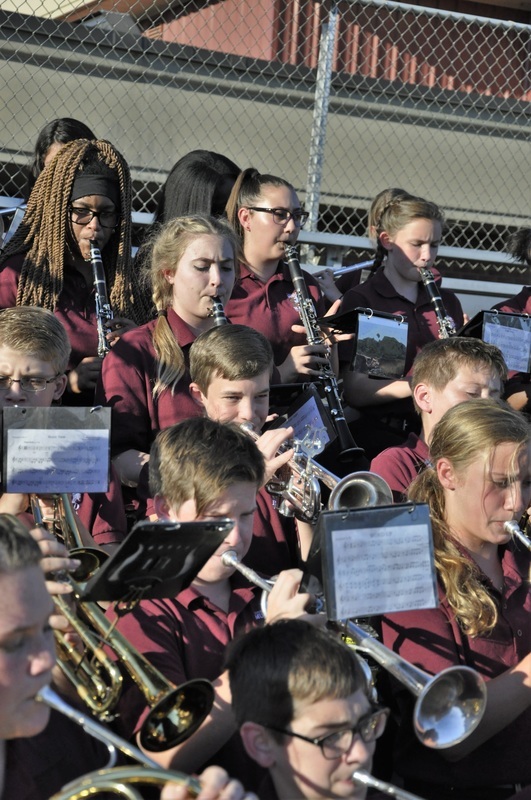 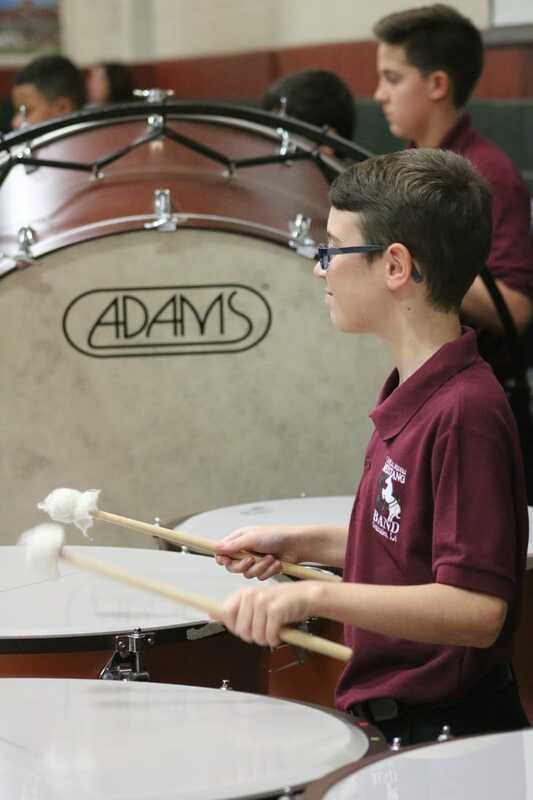 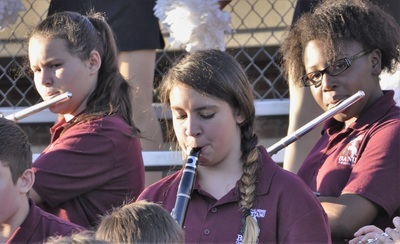 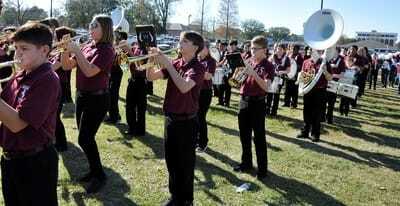 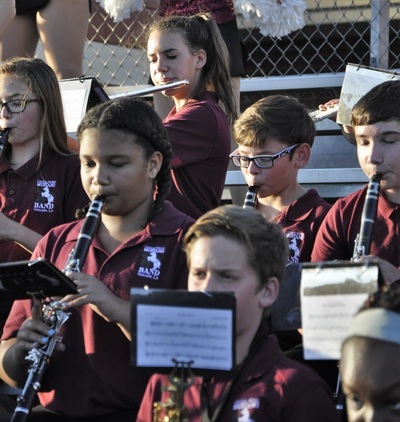 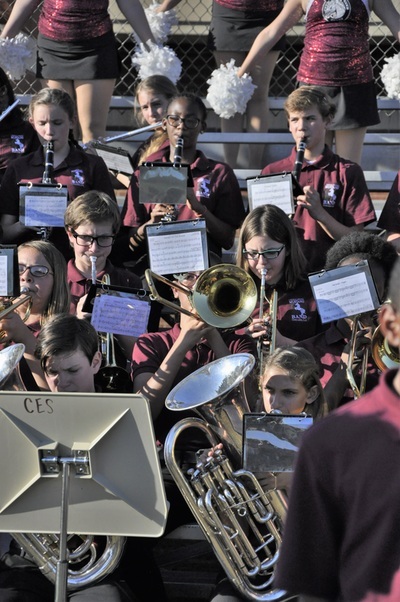 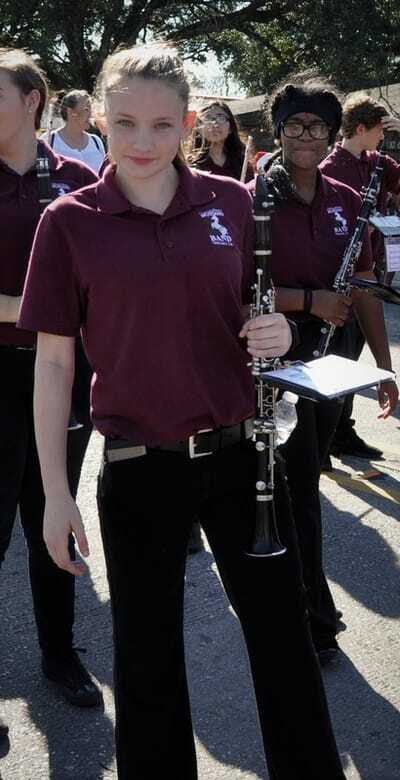 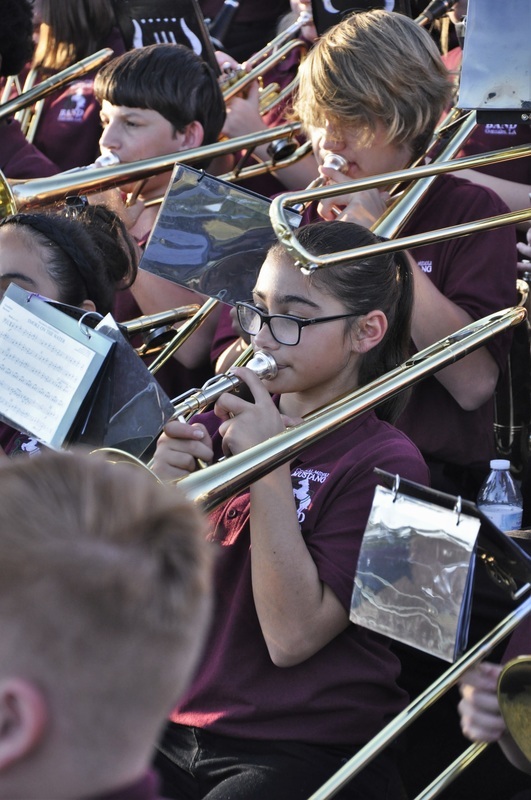 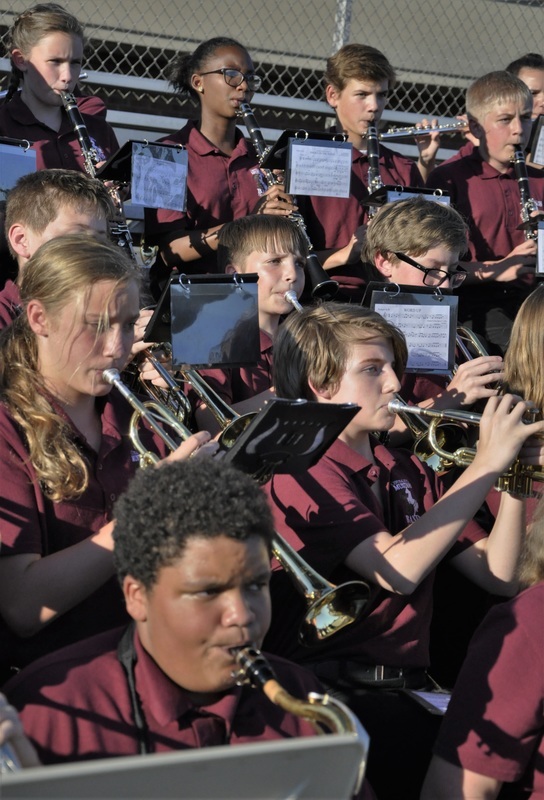 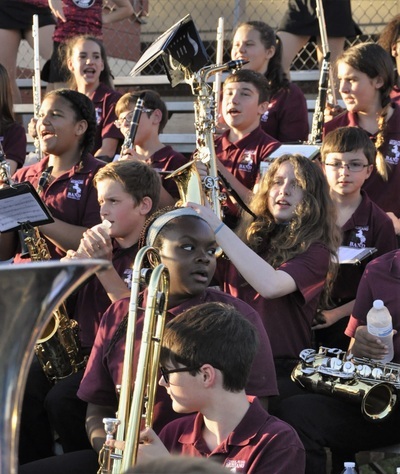 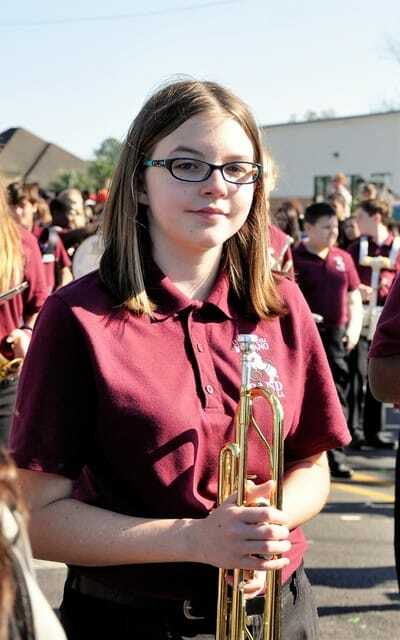 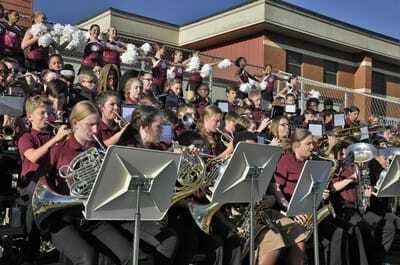 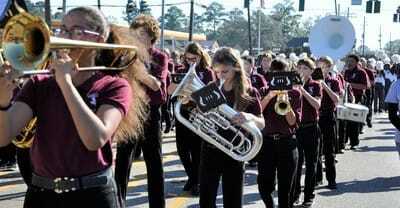 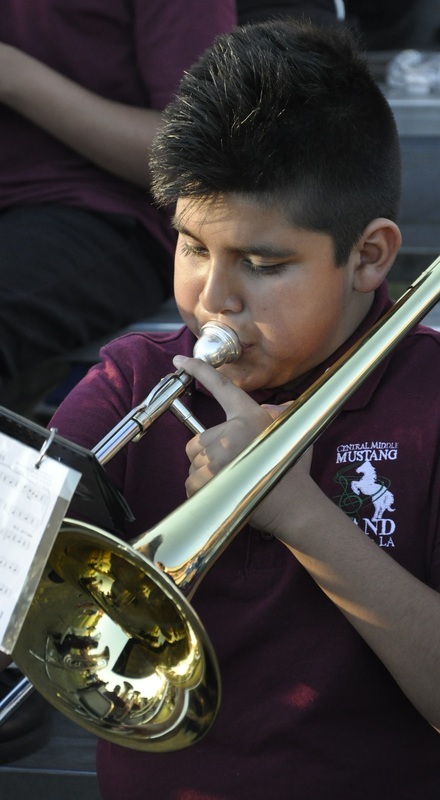 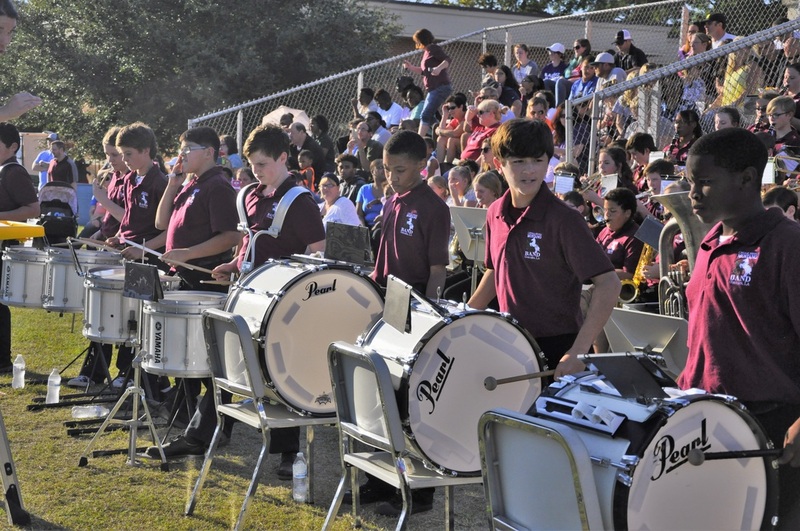 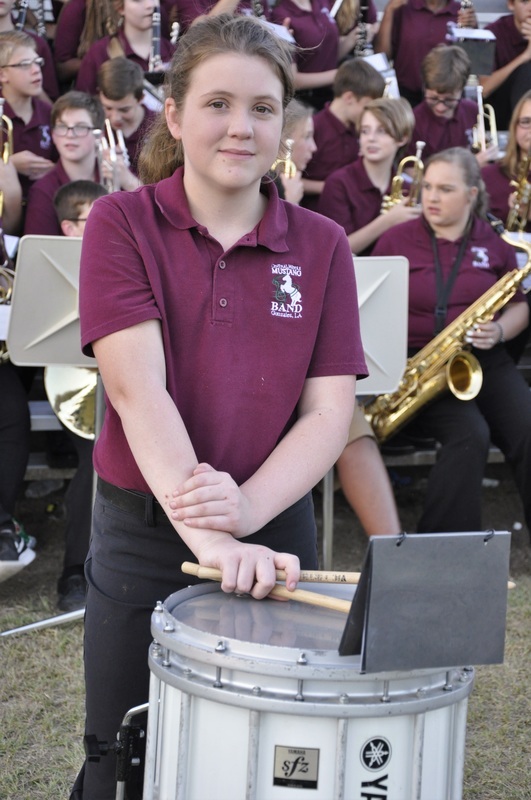 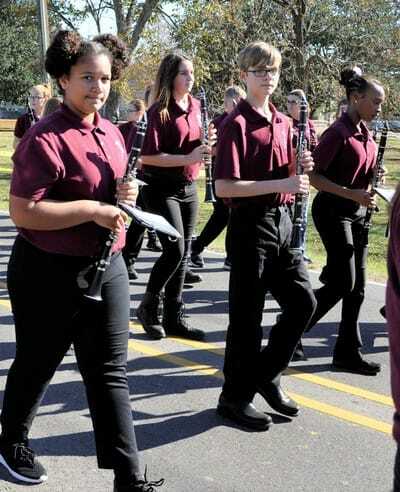 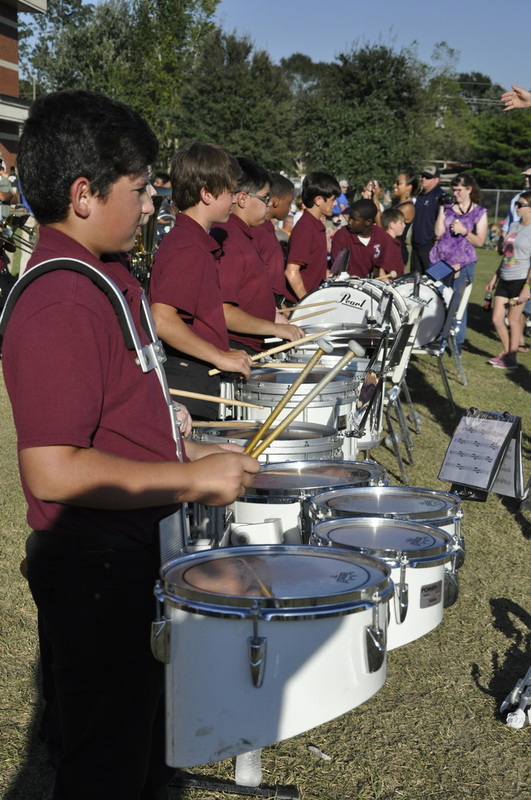 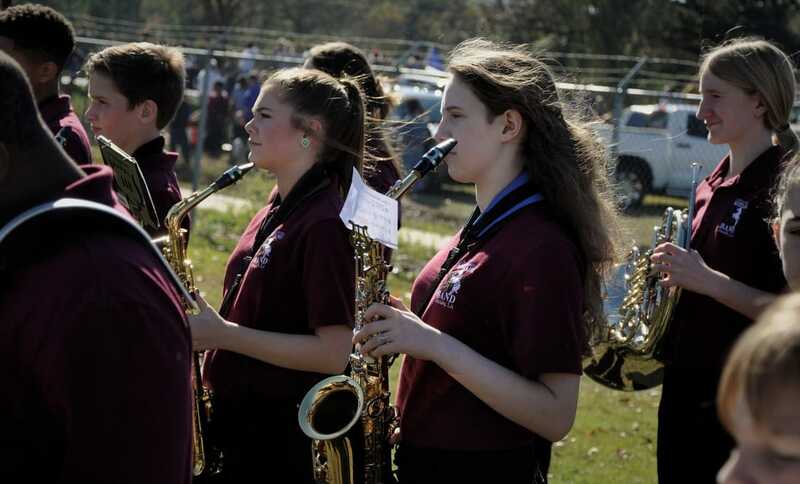 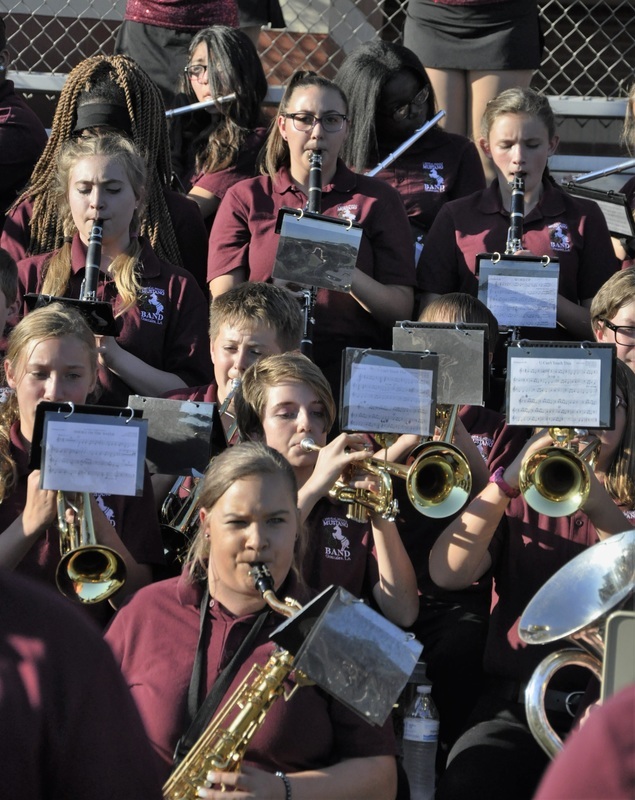 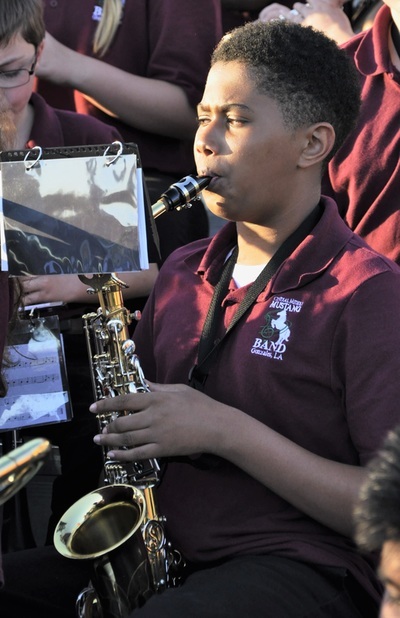 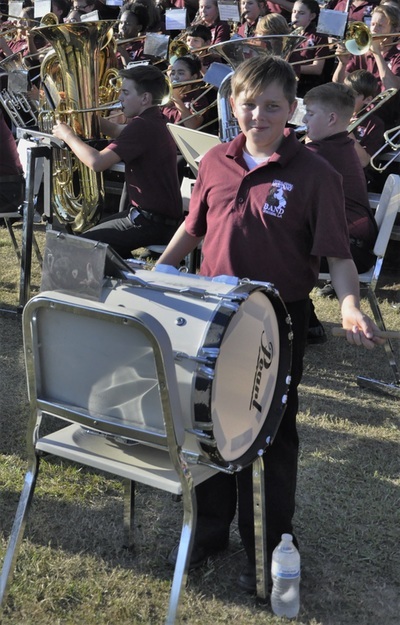 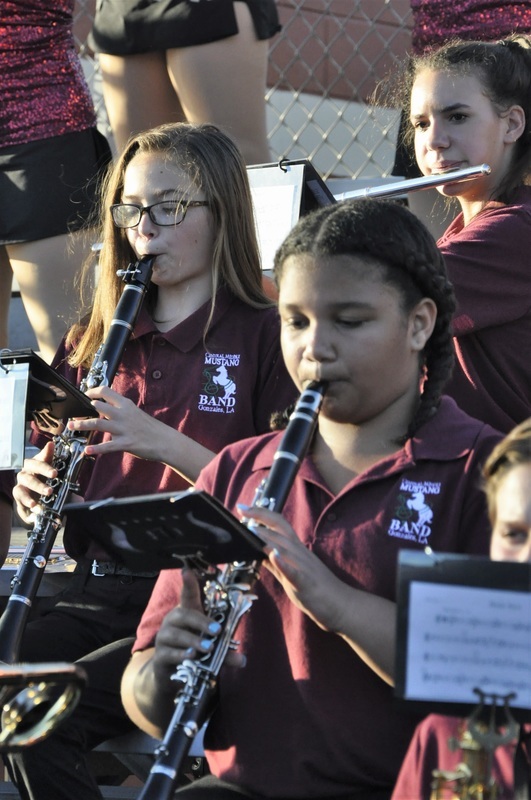 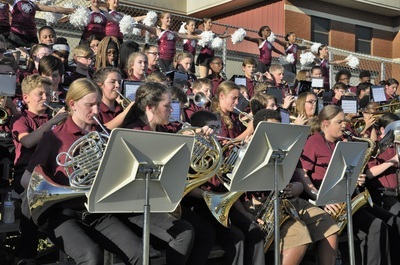 The 7th and 8th grade football band had a busy and exciting season performing at three home football games! 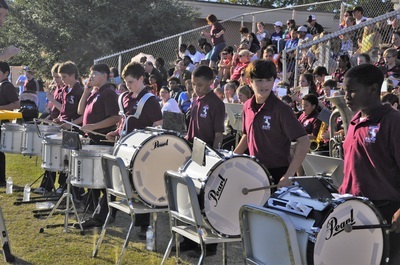 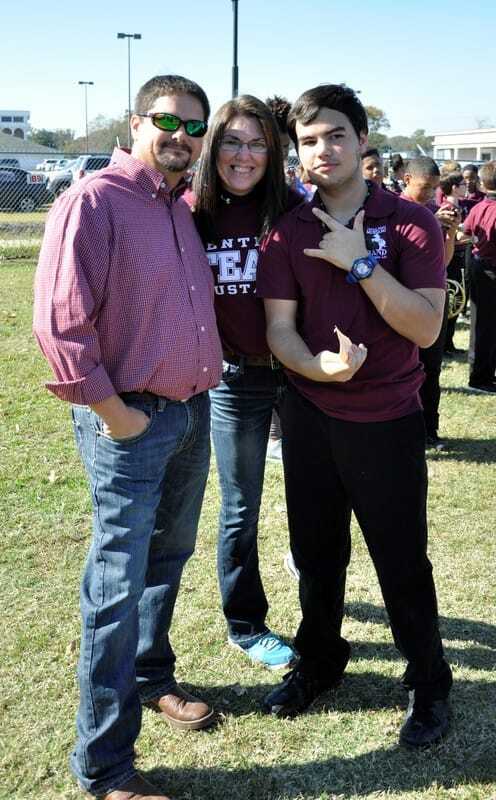 Thanks to Denise Holladay for providing these great pics! 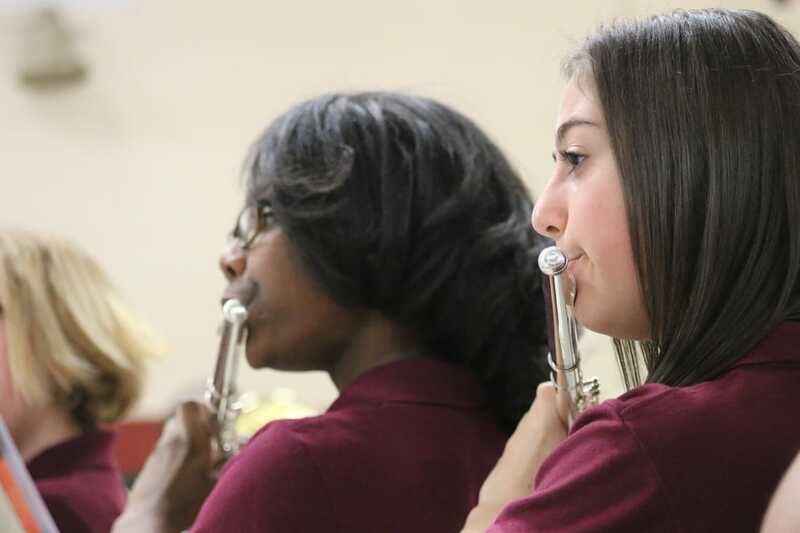 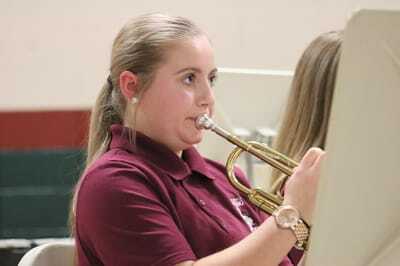 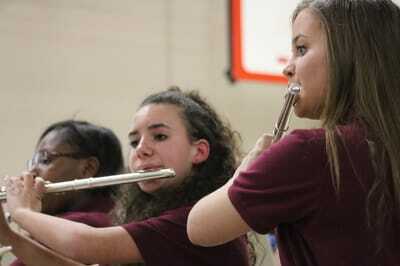 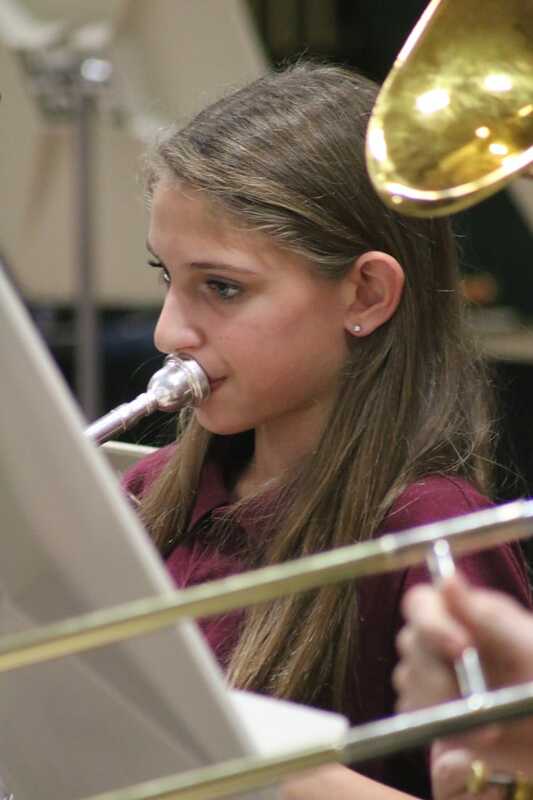 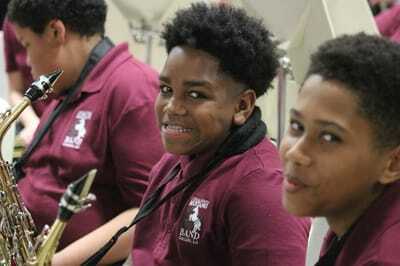 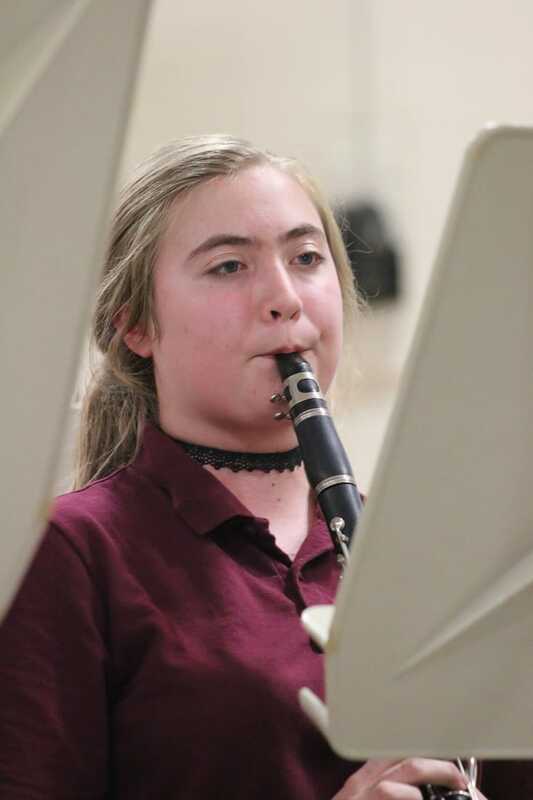 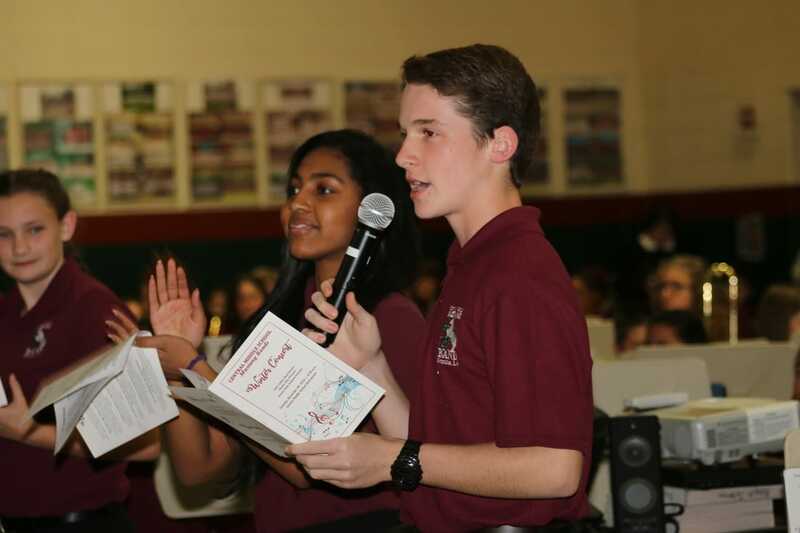 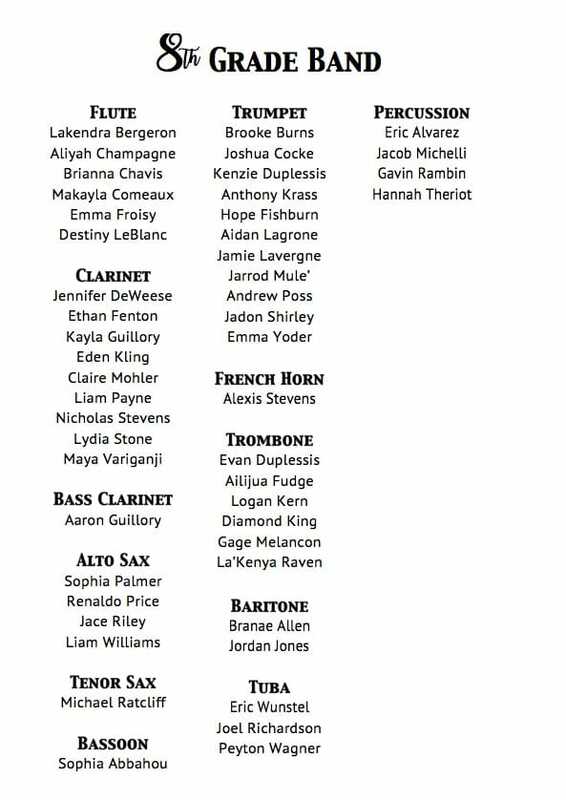 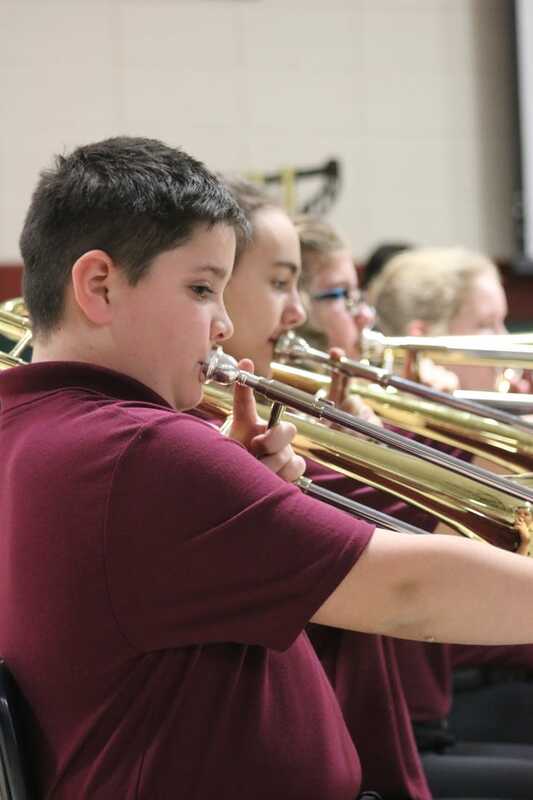 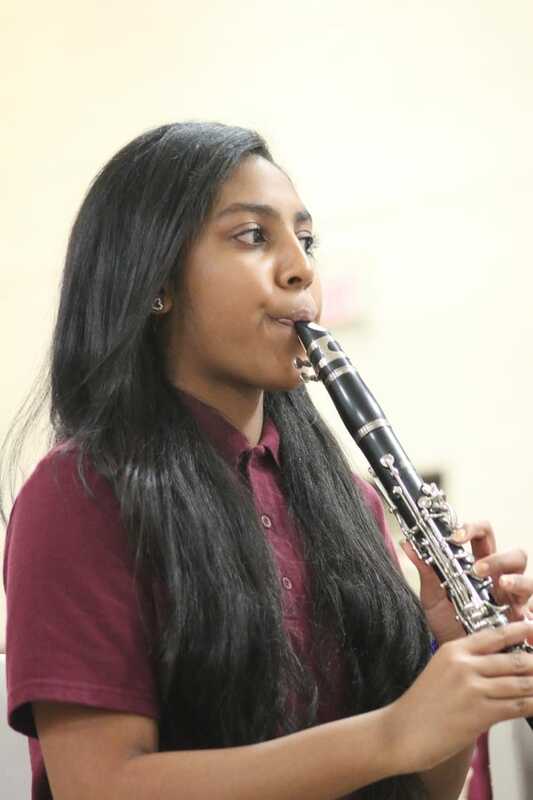 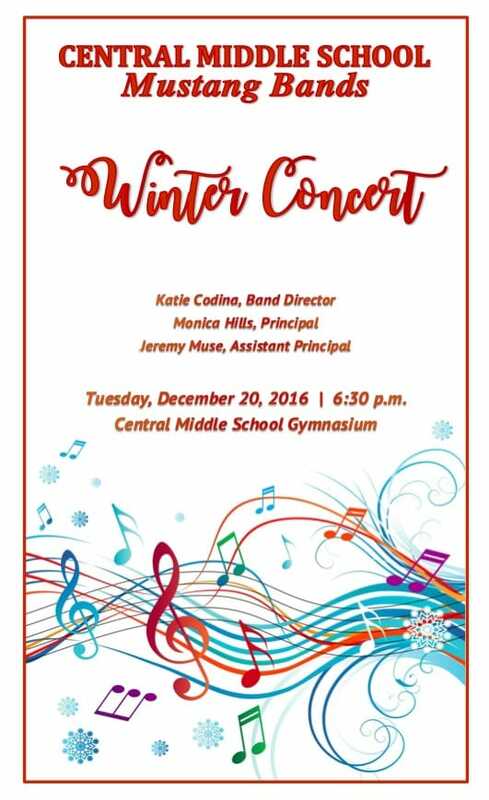 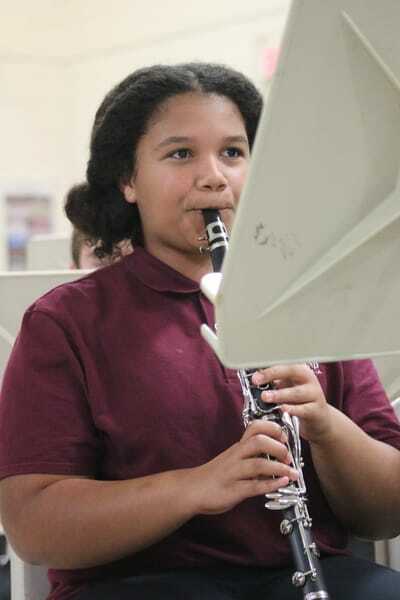 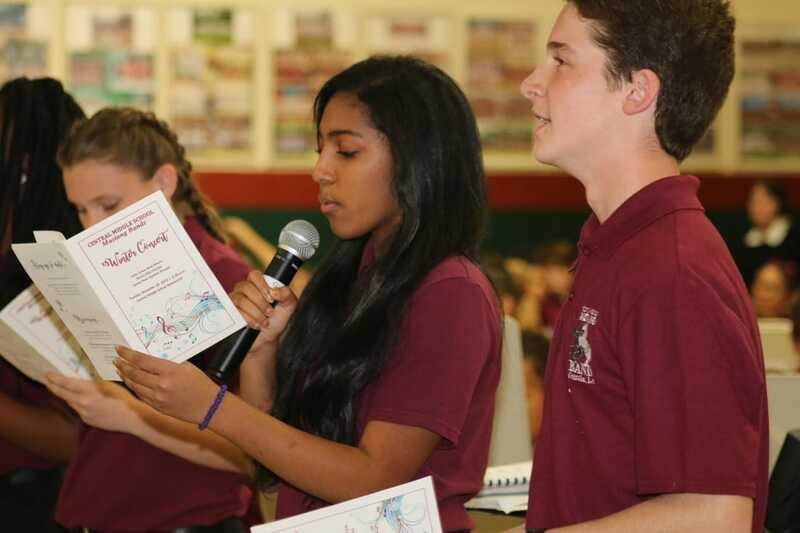 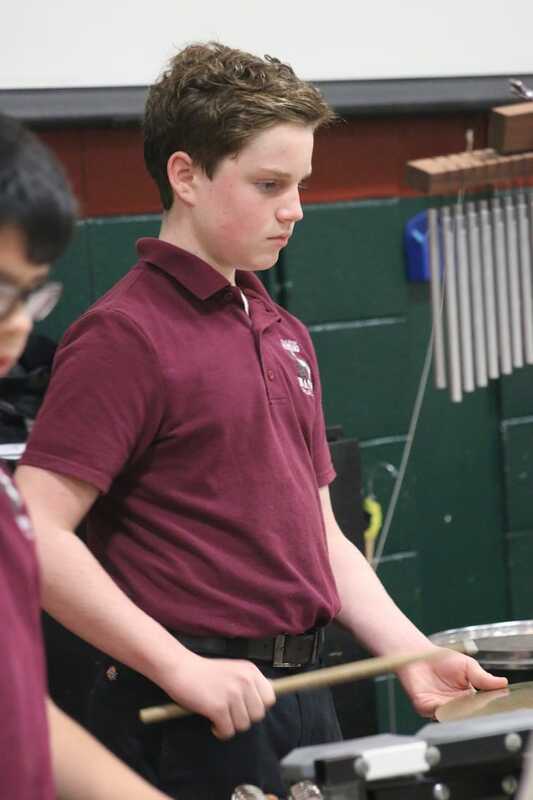 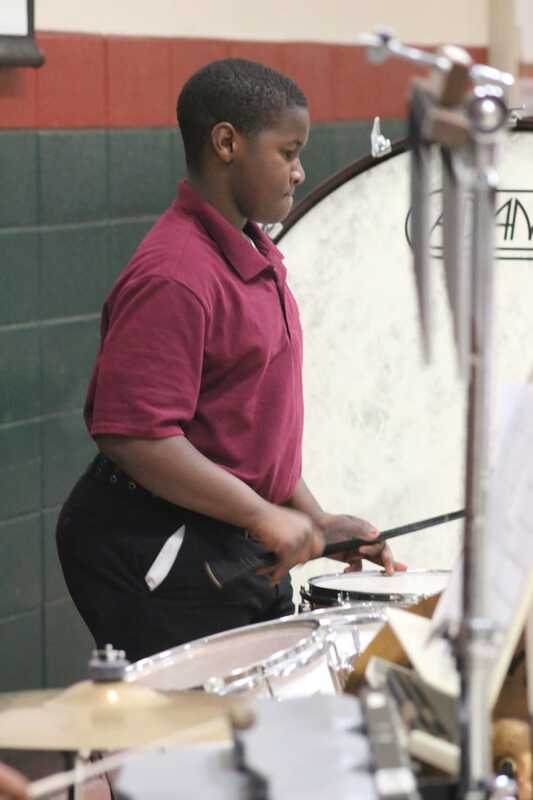 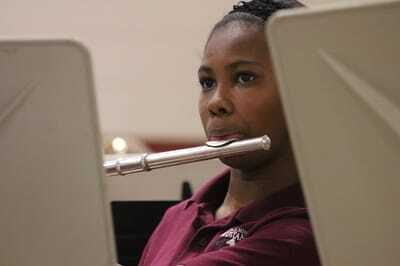 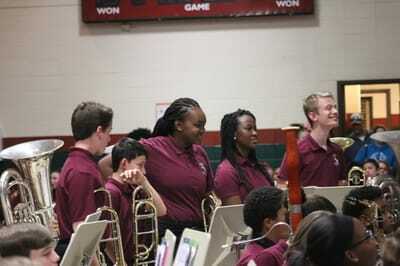 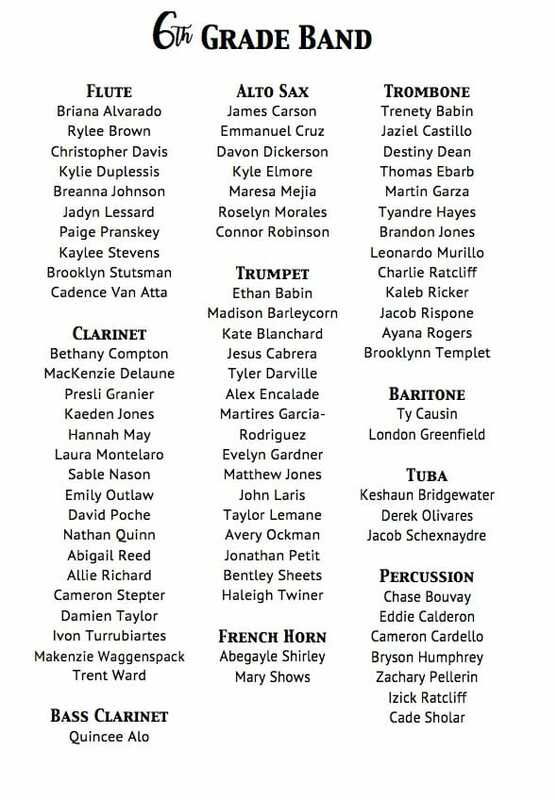 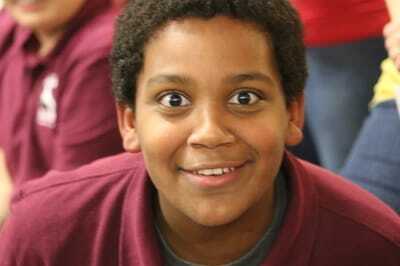 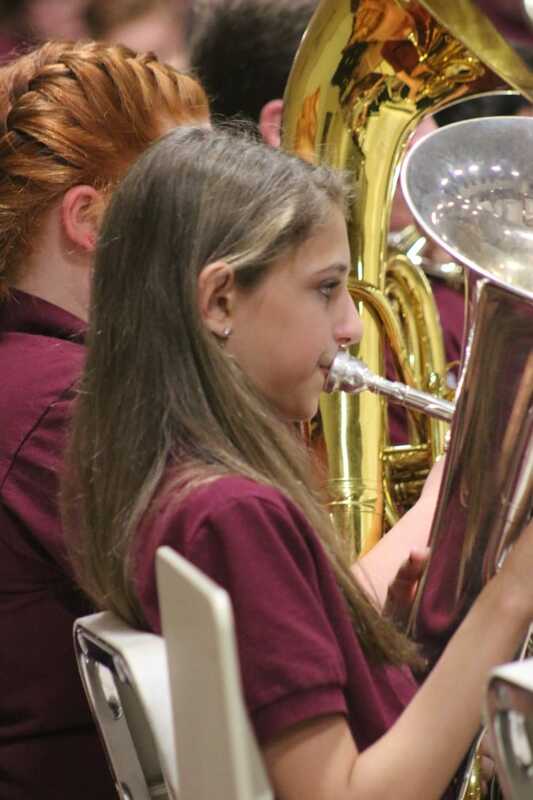 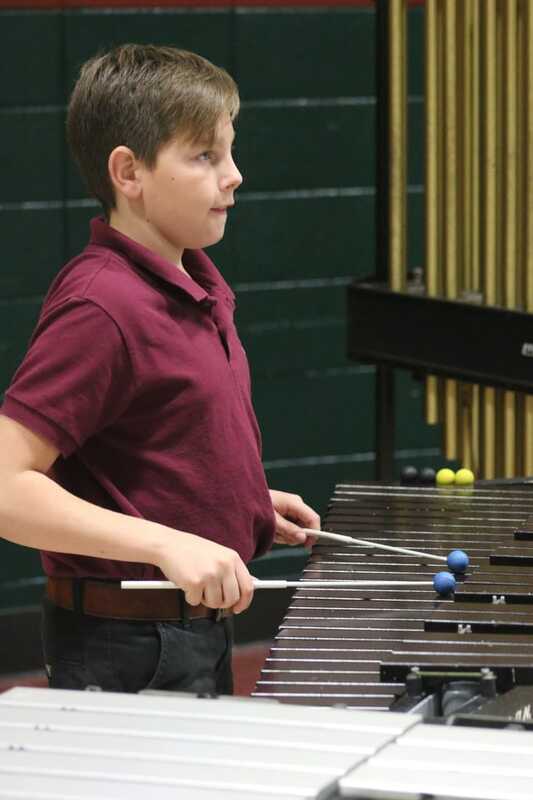 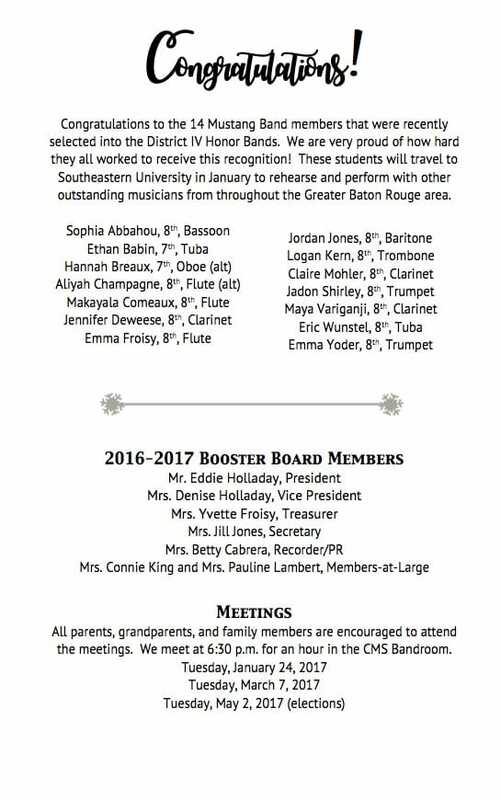 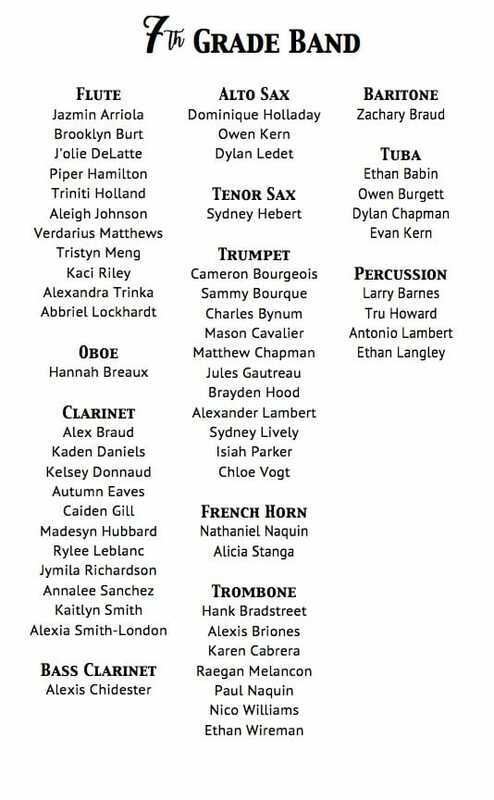 The 8th grade presented its 1st annual Fall Concert on November 3rd. 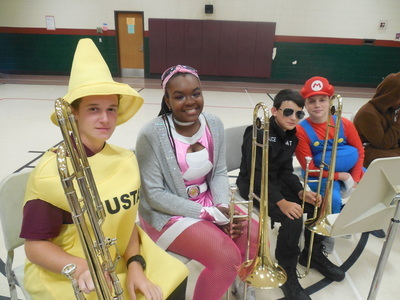 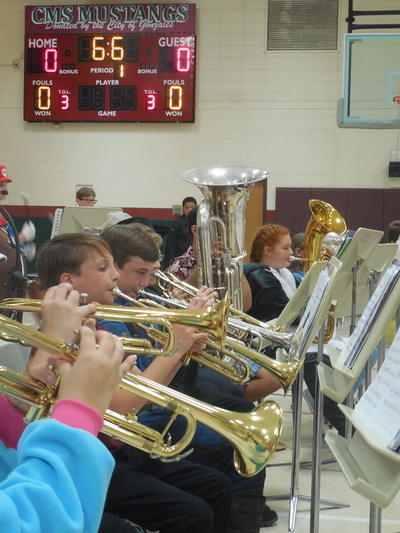 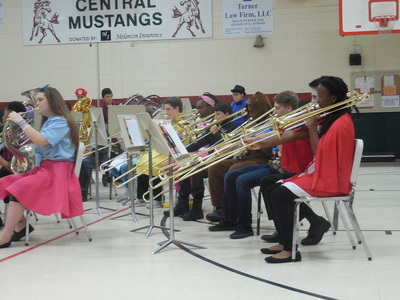 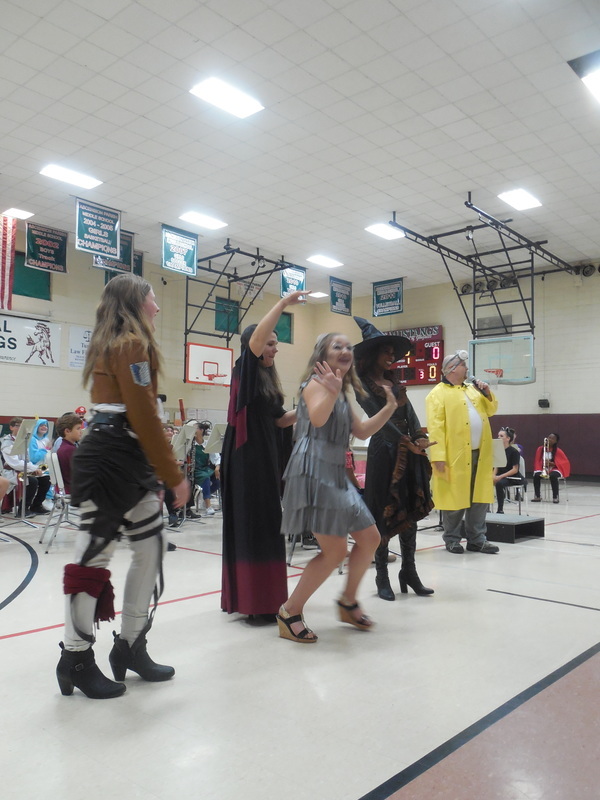 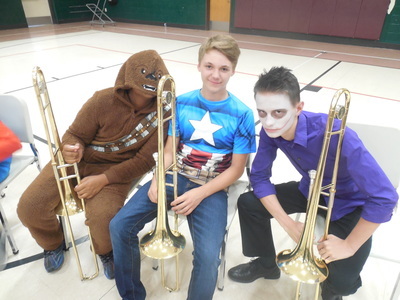 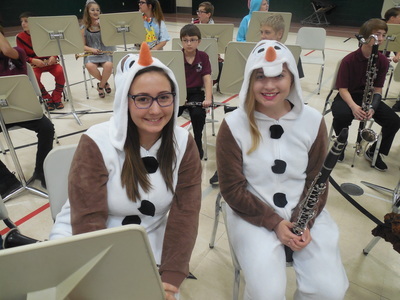 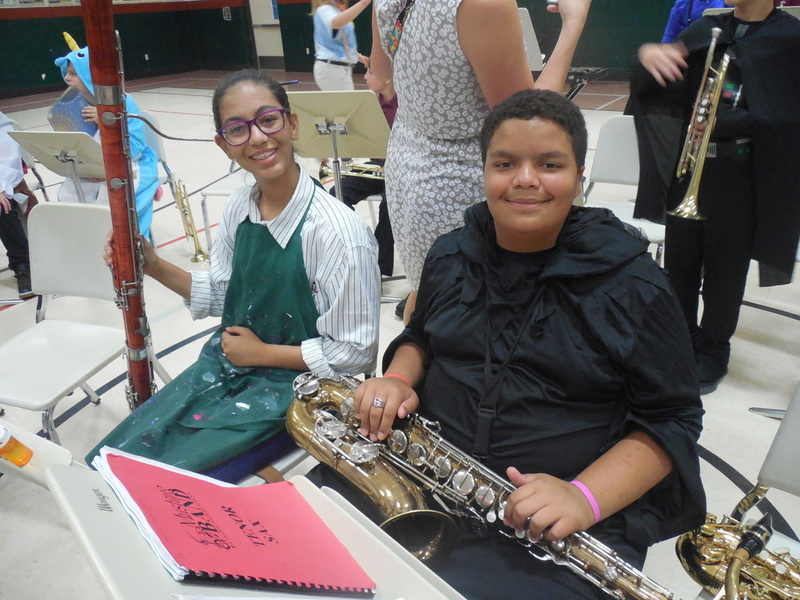 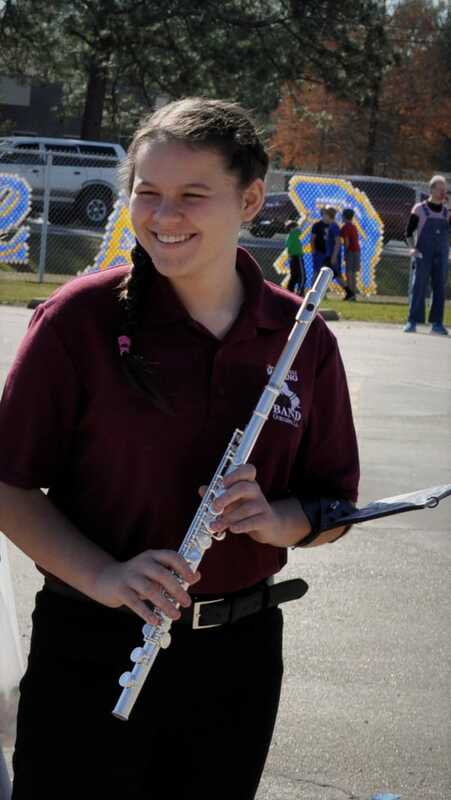 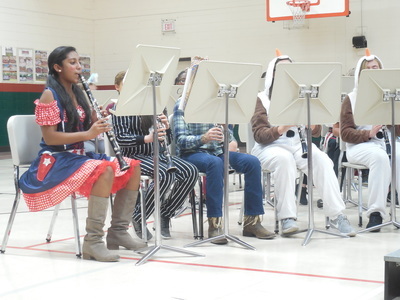 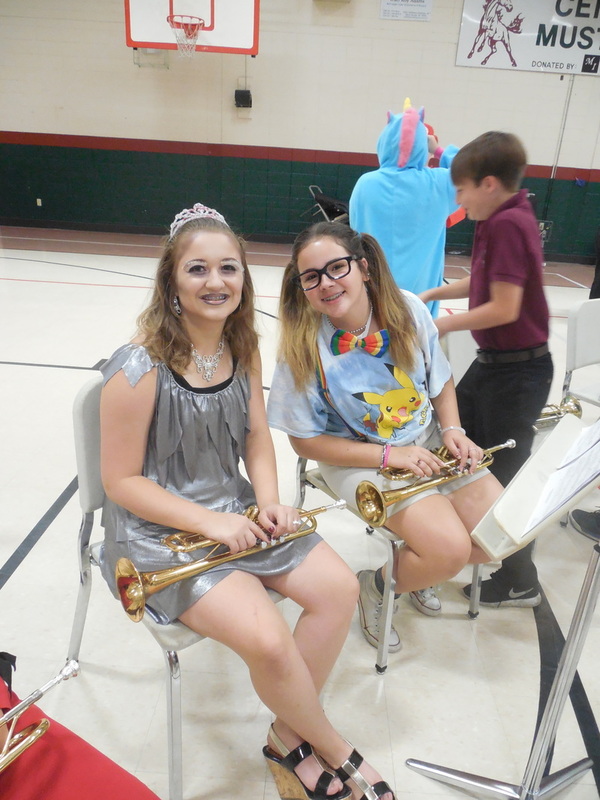 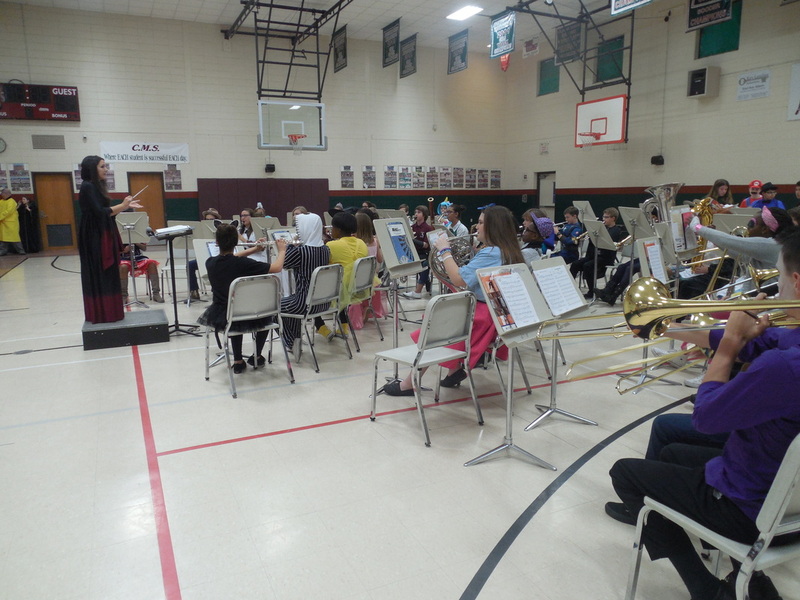 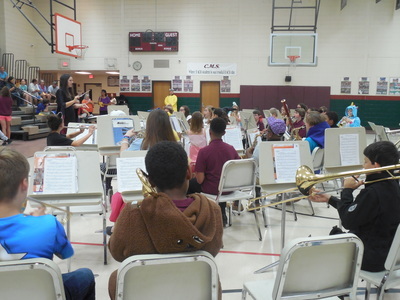 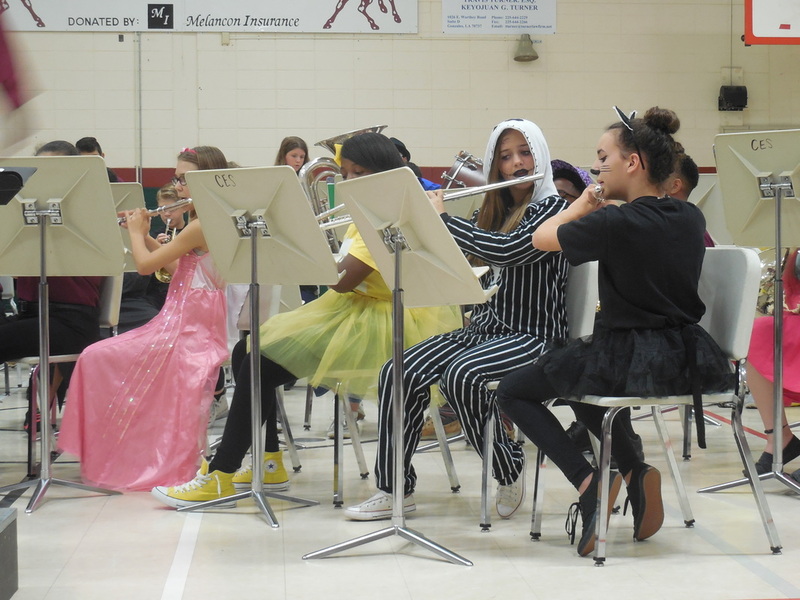 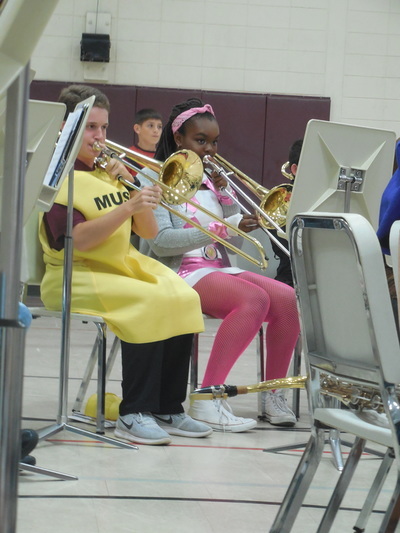 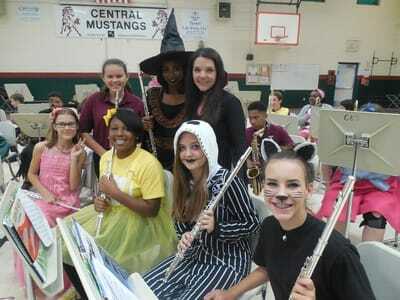 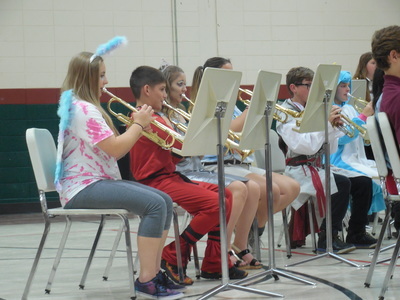 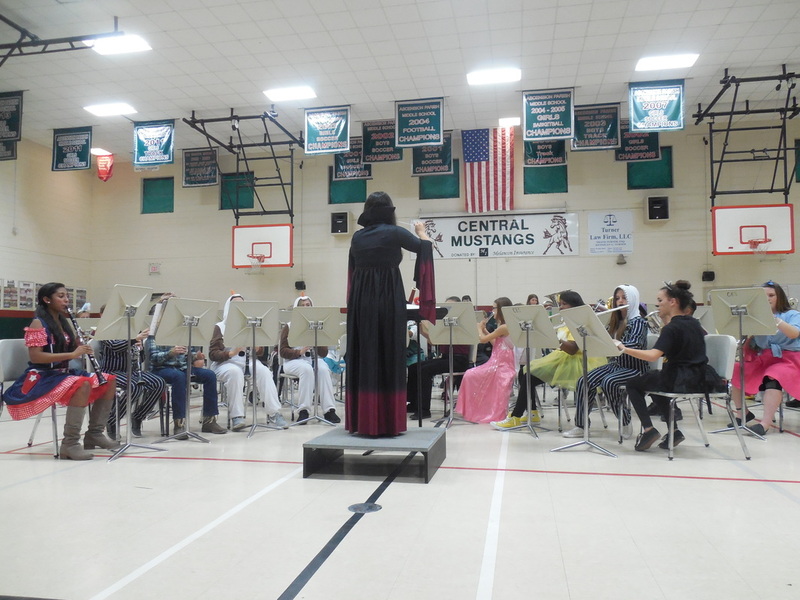 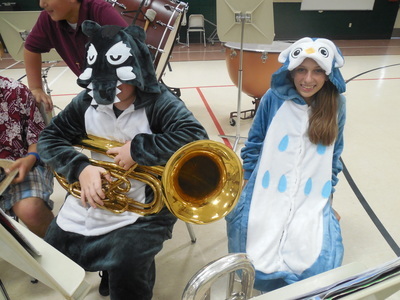 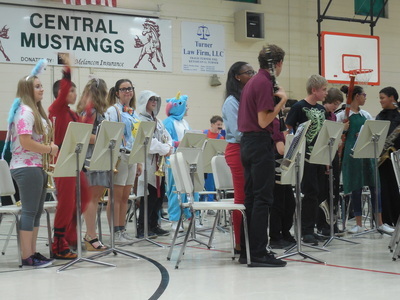 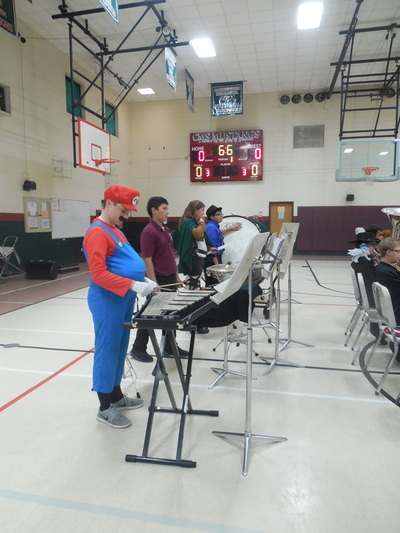 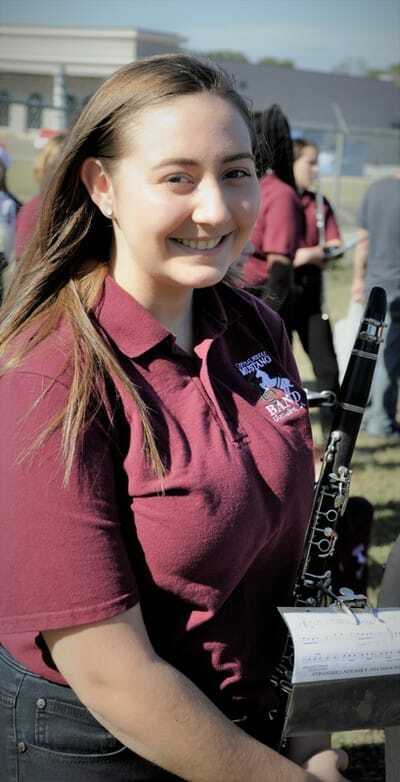 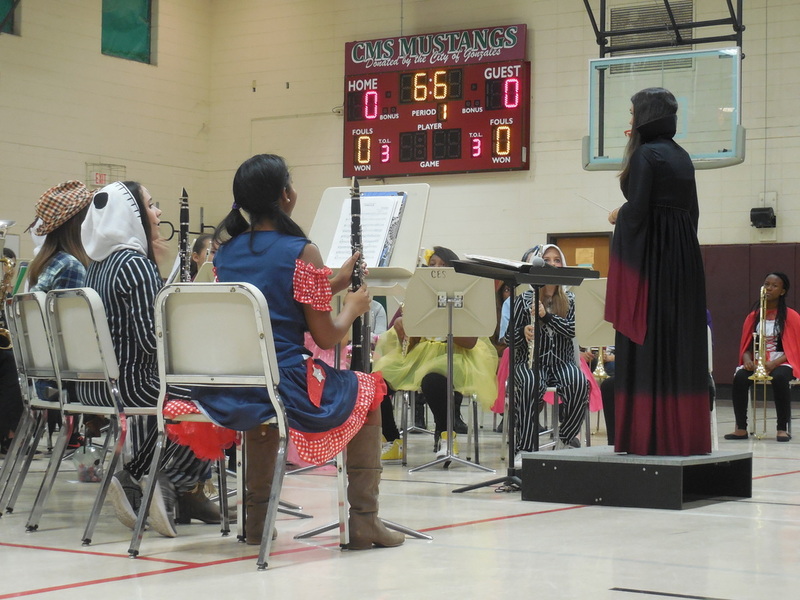 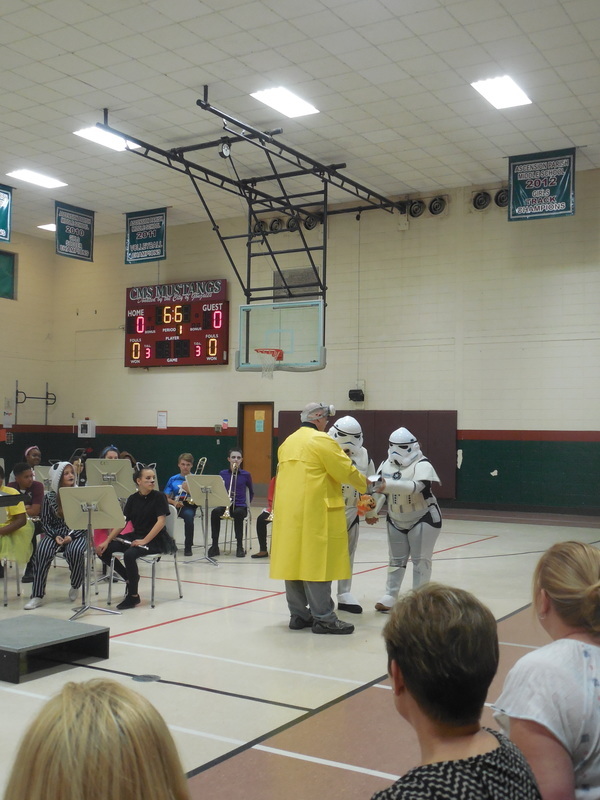 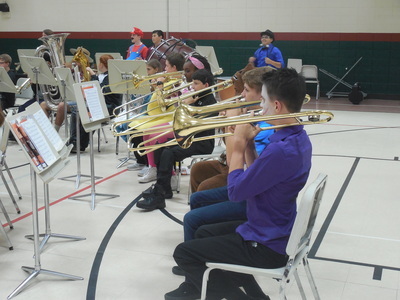 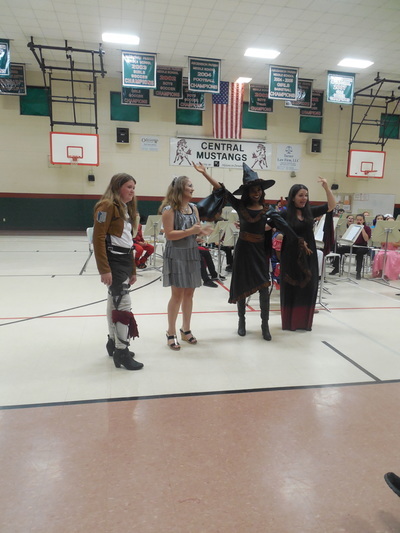 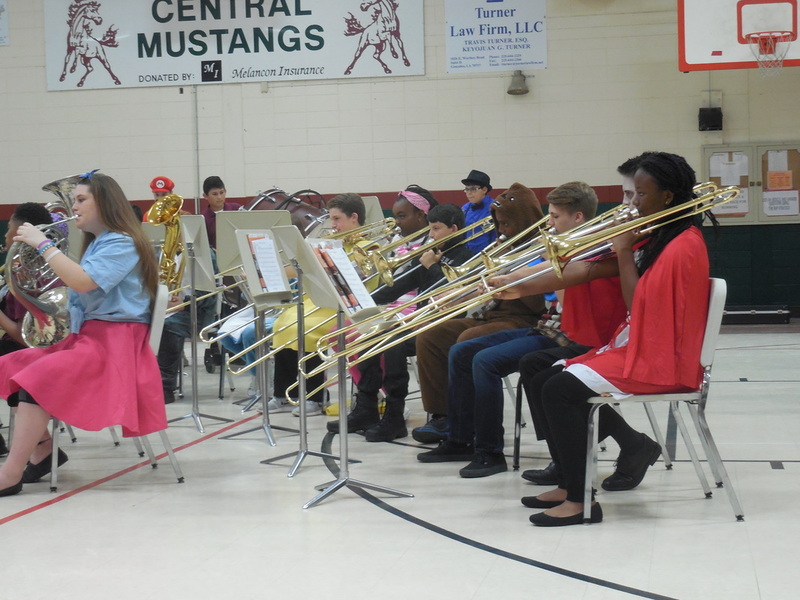 The concert featured "Spooktacular" music and was a fun event for the audience and band member alike! 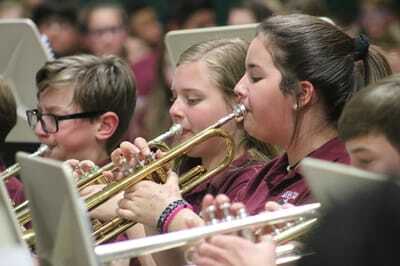 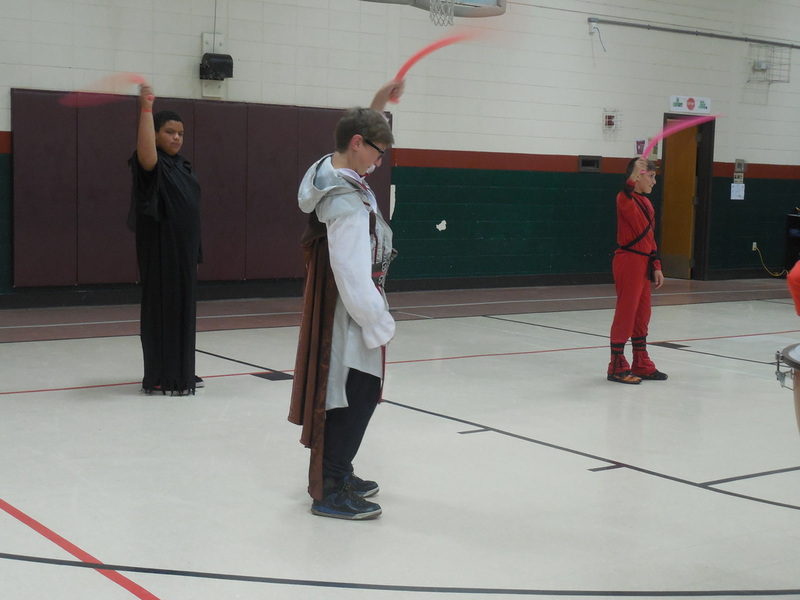 A big thanks to Laura Jennings, our art teacher, for taking these great photos!